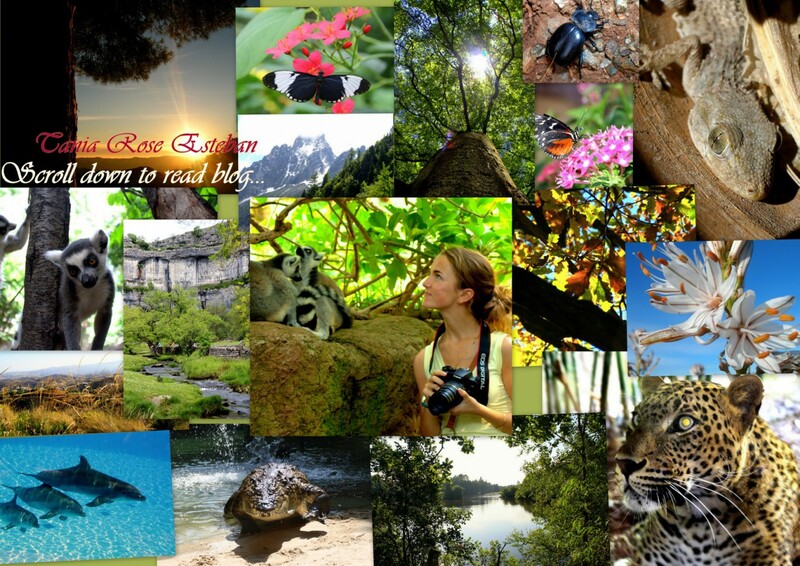 South Africa Wildlife filmmaking internship – How YOU can volunteer for free! 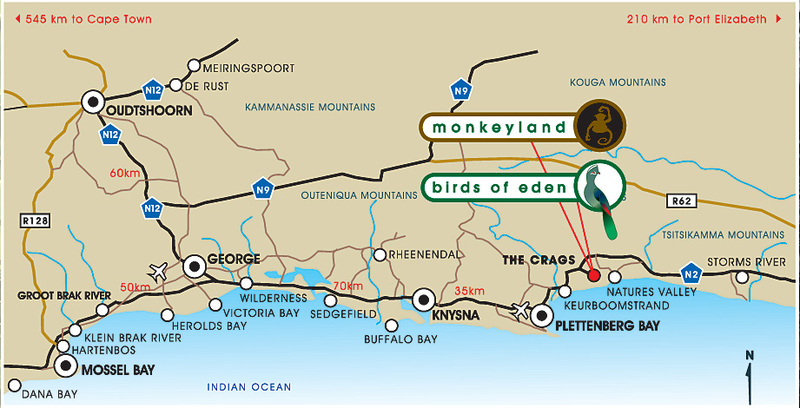 This year in June I flew to South Africa to pursue a childhood dream and volunteer as a wildlife filmmaking intern in Monkeyland, Birds of Eden and Jukani– 3 wildlife sanctuaries located in The Crags, Western Cape, Titsikamma National park. I never thought it would be possible until I began doing my own research- without the costly fees of a company doing it for me. I’m a scientist by nature, research is what I love to do! So I set about by looking at the organisations which didn’t charge an arm and a leg to simply volunteer. Its infuriating when such companies around the world will voraciously take advantage of students wanting to give up their time to a good cause, and have a trip of a lifetime; travelling whilst it’s still possible without being tied down to jobs and life. So I’m creating these following posts to help YOU VOLUNTEER ON A STUDENT BUDGET, WITHOUT COMPANY FEES! WHY? 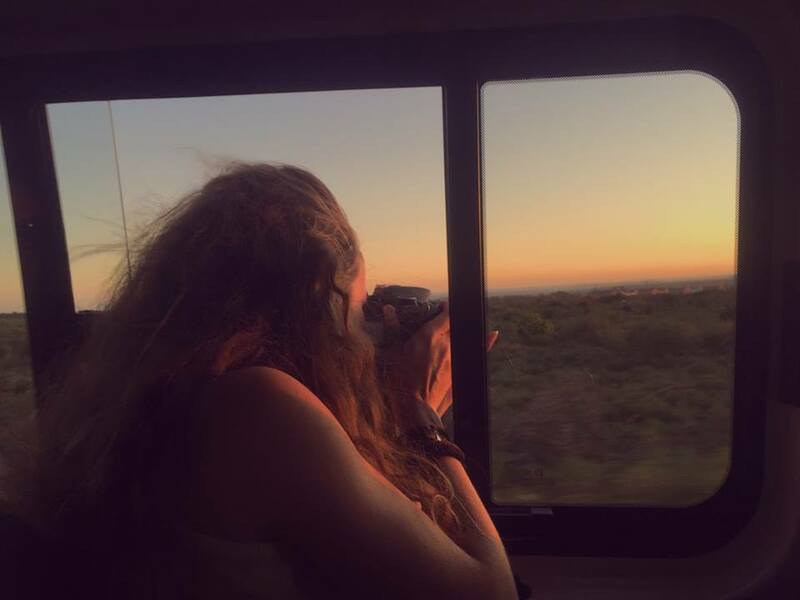 Because I was in the SAME SITUATION as YOU, and wanted to experience Africa at my own pace, see and do incredible things and meet amazing people. Above is a little video clip of one of the many species I filmed there. Many of these individual Capuchins have been rehabilitated and evidently the methods have worked, as they display remarkably natural behaviour and social interactions. So here’s what I did and how you can also do something similar for a budget price. 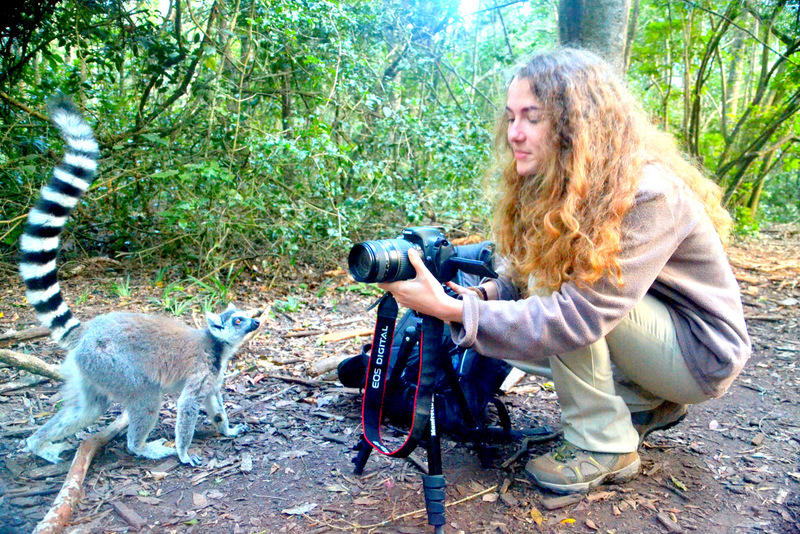 I worked as a student volunteer at the South African Animal Sanctuary Alliance parks, Plettenberg Bay to work as a ranger tour guide and photographer/filmmaker in the Monkeyland, Birds of Eden and Jukani wildlife sanctuaries. They fund themselves through revenues from tourists who take educational tours of the sanctuaries, and multi-lingual tour guides are much needed to continue to bring in funds. A detailed catalogue of all the SAASA species has not yet been made of the primates, birds and apex cats, and so I wanted to help compile this information, along with taking photographs and film footage (for YouTube) of individual primates as an important part of the project. I really wanted to be able to make a difference at the SAASA by bringing my skills as a photographer/videographer/zoologist and researcher, as well as help to build up a collection of all the species and individuals at the sanctuary. Having studied zoology at the University of Leeds for 3 years, I felt the need to travel and experience different cultures, sights and wildlife encounters before I go on to study for my Master this coming September at Bristol (for a MA in Wildlife Filmmaking). Not only did I feel I would grow as a person, but also gain further insight and build upon my current portfolio which will prove to be very useful when applying for jobs as a freelance camera woman. It has been a life-long ambition to visit South Africa, I missed out on an opportunity field trip last summer due to my research project that was to be conducted in the UK on bat foraging distributions. I can tell you it has far surpassed my expectations… it’s really was life changing and incredible, fascinating, awe-inspiring, revelatory, amazing, stunning and… yes this is why you should GO FOR IT! This requires you to get in contact with them which is very easy nowadays- a simple email telling them what you do and want to achieve through volunteering there, what experience you have to offer, CV, website, ect. 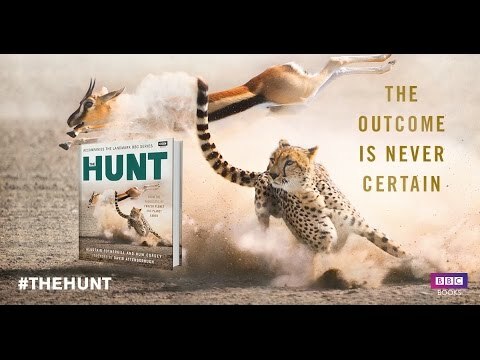 You’re pretty much in unless you’re going through a well-known organisation and a company is booking you through (such as Conservation experience Africa, or the Born Free Foundation). 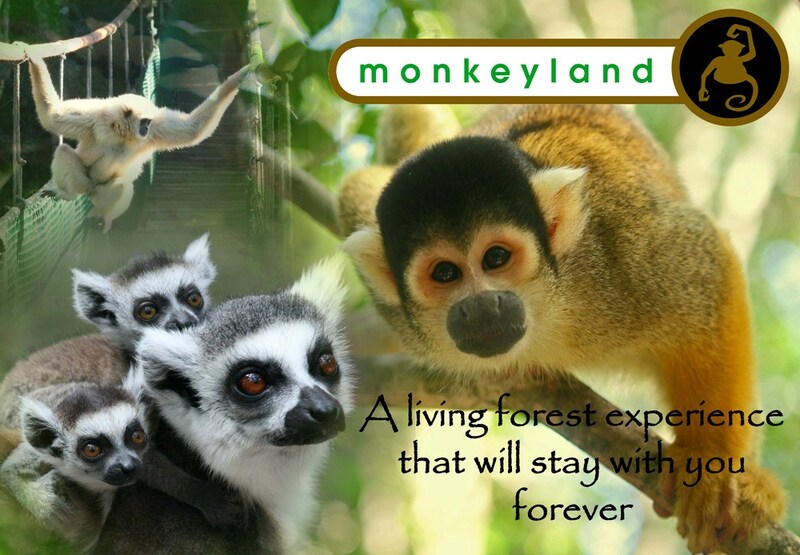 Having said that, Monkeyland which opened it’s doors in 1998 is actually an enormous 13 hectares, where 11 monkey species are allowed to roam free in stunning natural Afro-montane forest. 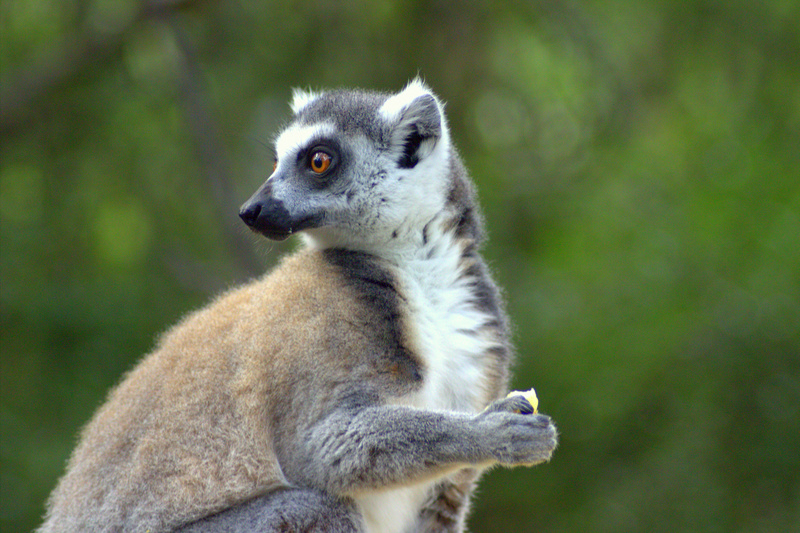 Nothing is simulated, the forests were here originally before the project was started, and endemic Vervet monkeys use to roam the forests. It far supersedes anything I have seen in Europe…and is truly a sustainable, long-term project with many modern concepts and ideas being implemented by Laura Mostert and the team. In fact it’s even won the Tourism Sustainability awards (2014). Monkeys that were previously kept as pets, ex-circus performers and abused zoo monkeys are rescued by Monkeyland, and placed into special monkey homes to rehabilitate before being released back into the forest sanctuary. This is known as the “Eden syndrome effect,” which when implemented; nobody is allowed to touch, pet or feed the monkeys…and minimal contact is made other than during feeding. When released, guest must also adhere to these rules, keeping a distance of 2m and NO SELFIE sticks are permitted. This is to keep the monkeys as wild as possible and behaving naturally, which in my experience is most certainly the case. I got some brilliant behaviour when filming across all the species. 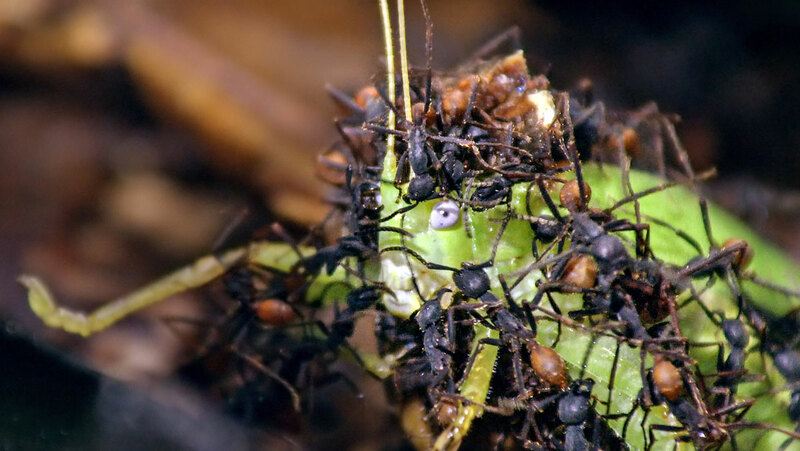 Of course not all the species would be mixed together in the wild, but this doesn’t seem to affect intraspecies communication (between the same species). We feed them a variety of fruits and vegetables, all of which come from locally sourced farmers, so not only fresh but also benefitting the local communities. 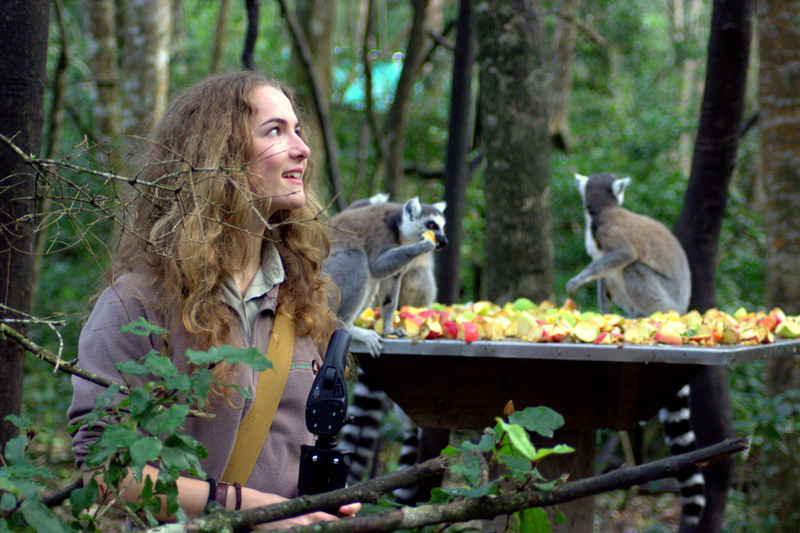 I’m not going to lie, the monkeys ate better than us! 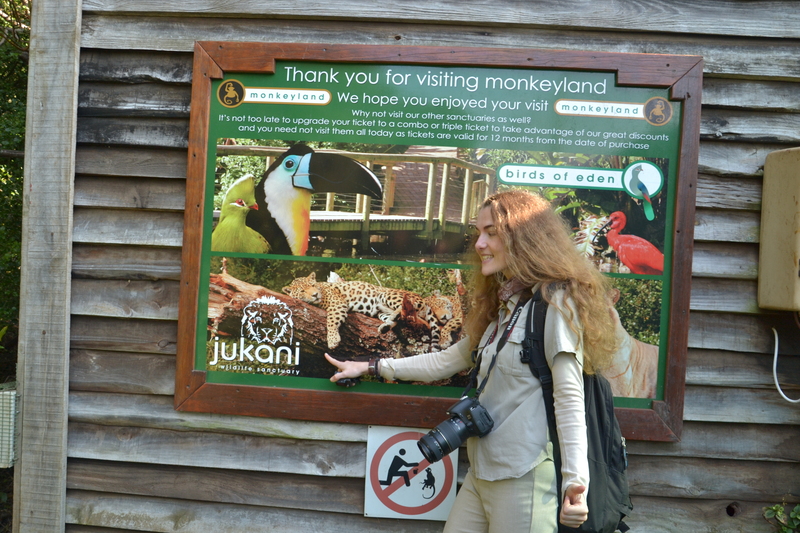 I’ll be writing more specifically about “A day in the life of a Monkeyland volunteer” soon. Now the concept of backpacking is one that I had never come across. 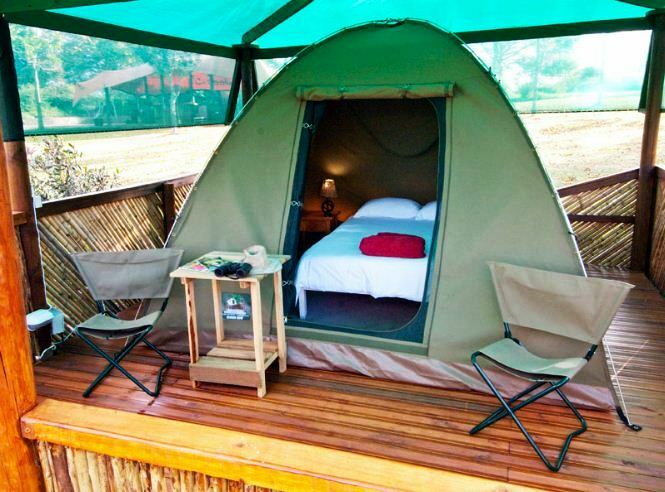 I had heard of hostels and camping sites, but it never really occurred to me that it could be a place to stay at a reasonable price and allow you to spend your hard earned cash elsewhere on incredible activities, trips, safaris, ect. I stayed at Rocky Road Backpackers, a quaint little place wedged in between the valleys with large open grounds. Now I had an amazing time there, but unfortunately a problematic situation arose between a member of staff which caused problems for all the guests (a tale for another day!) and so this was unnerving…but other than that, the food was great and the transport was reasonable. But for me it was the incredible people I met there. I met 14 students from Western Washington University on their incredible journey to help the locals in Mosassami and Kurtland village– township communities in need of teaching, building, counselling and community project funding. I can say now I have made friends for life here and I spent all my evenings and weekend trips with these amazing people- having the time of my life! 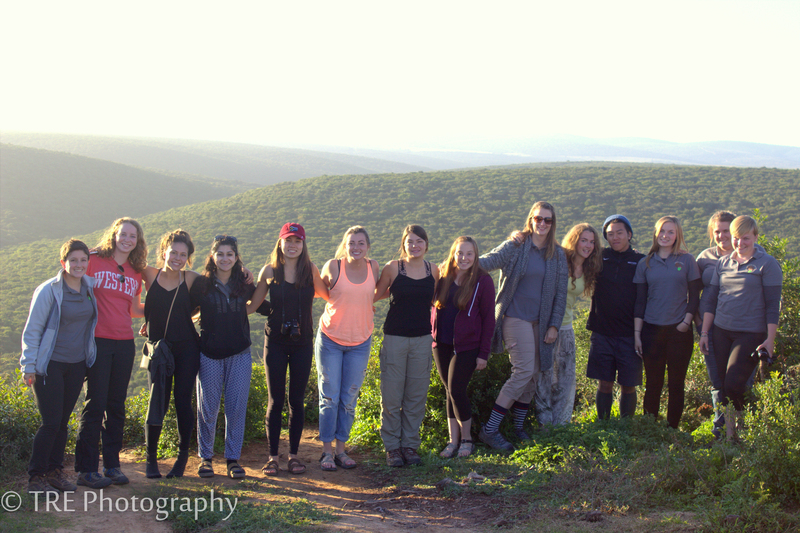 The inspirational WWU students and I at Addo National Park. Couldn’t have imagined better travel buddies than this lot, missing you all terribly! 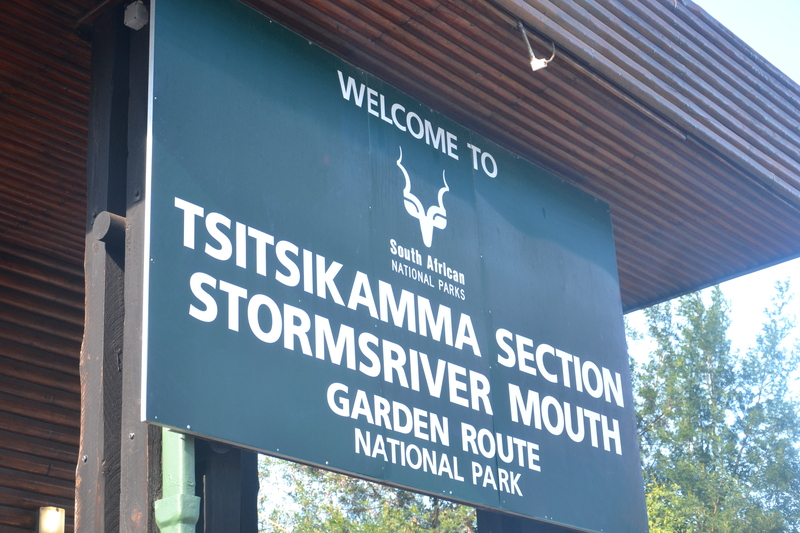 Having said that, in the past if was far weaker, only now are South Africans able to benefit from tourism. 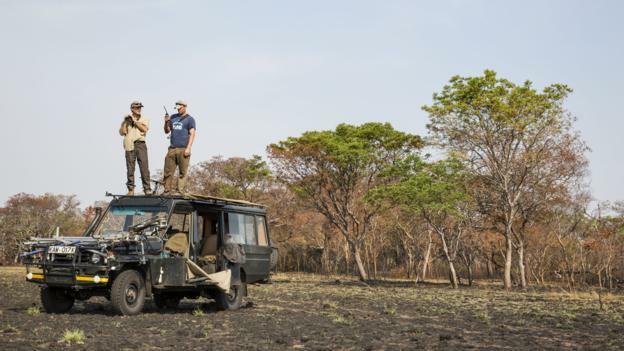 You can get your regular shop for less than a fiver, go out on a safari for £13, get a taxi for £5, fine-dining for £5, accommodation for £10 or less. Hence why there is such a draw to places such as Cape Town and Plett, the strength of the pound in particular means it’s hugely attractive for students too, looking to enjoy their student finance money! 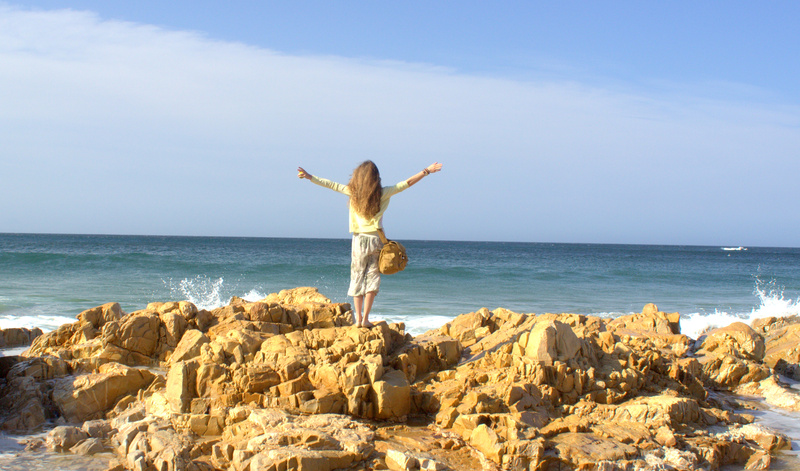 Another fantastic place is Stephanie’s Homestay, located right next to the Beach in Plett. It’s very central unlike Rocky Road, and you can get all your food shop, souvenirs without needing to ask people to drive you there which is great. You also get lifts to Monkeyland, ect as well as DISCOUNTS FOR EVRYTHING…I’m not even kidding…mention Stephanie’s name and everyone knows her. She’s sort of like your South African mama, so if a homestay backpackers is more your cup of tea, stay here. There is a THIRD option…of which is FREE. Yes you hear me…FREE ACCOMODATION. Impossible I hear you say? Not so, Monkeyland have limited volunteer homes right next to them, a friend of mine who =volunteered here stayed here for the entire month without paying a single rand. The only snag is that it’s a bit of a …well, dump. Its not the safest of places, I’m not going to lie, but if you’re a guy or happen to be with one, its worth going. Two of my friends (both girls) stayed here and were totally fine, but you’re limited in terms of food and transport unless you rent a car. I’ll come onto that, but this is not particularly the best way to spend your hols, it’s nicer to meet other backpackers. SO unless you’re a bit of a loner, this isn’t the best option, but certainly the cheapest. Right so you have somewhere to stay now. Actually getting there is the next big thing! I looked through Skysanner.com, which kept sending me the best offers for the dates I was looking for. You can go via STA but sometimes it can be cheaper doing it yourself. Since I was going to Plettenberg Bay, not via Cape Town, but through Johannesburg and Port Elizabeth, it worked out cheaper through this website. I paid £660 return flight with British Airways, flying from Manchester to London Heathrow, London to Johannesburg and then finally to Port Elizabeth. 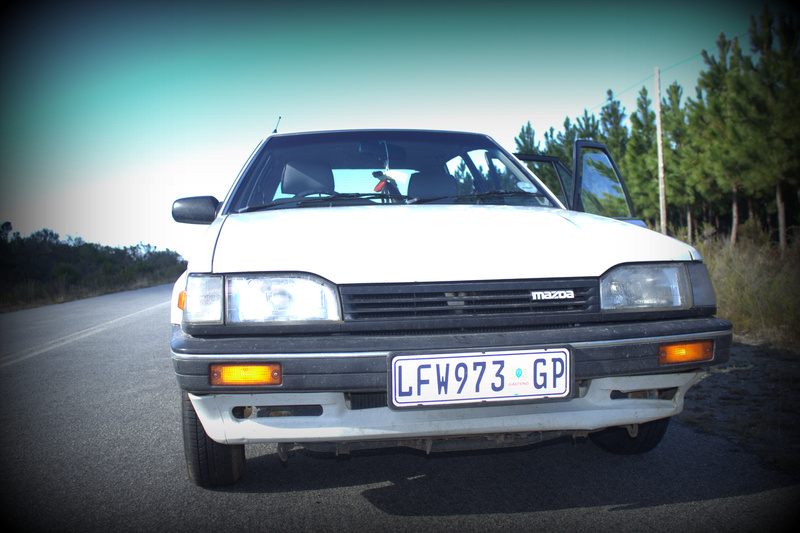 I then got a £80 taxi to my backpackers (I know…ouch!) after an exhausting 21 hours of travelling! I booked in April to avoid the summer hike costs, I have friends that paid £800-£1000…so book EARLY! BA were brilliant too, the service was excellent as usual, and the food pretty decent too. 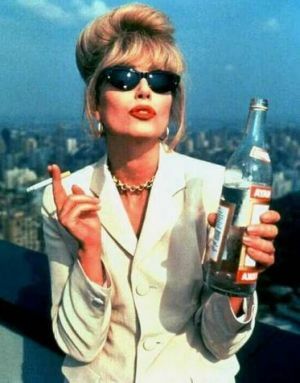 I must POINT OUT though, DO LEAVE TIME between transfers…I almost missed my connection return flight from Joho to London because of a delay! Also watch it in Johannesburg, it can be quite dodgy over there. But other than that, enjoy your flight! 4# Packing- What to take? Right, I wish I could have read this before I went! Our summer is their winter…I can’t express more lucidly how South African winters are the SAME as European ones…that just because its Africa doesn’t mean that short shorts are an option! Its rather similar to a Spanish summer, not quite as bitterly cold as the UK. So do take many different layered clothes, such as thin long sleeved t-shirts, jackets, fleeces and scarves. Socks are a must too, the thick walking boot types, and bring X2 the numbers of pairs you think you’ll need…you’re going to lose half of them I promise! Also the same goes for underwear. There are few places that own a tumble drier annoyingly so be prepared to reuse (sorry), and smell like a monkey for a bit… that’s how it rolls here in Africa! Also bring a sturdy pair of thick boots for hiking in and for the muddy terrain, you’ll definitely thank me for this one. Sunglasses for those sunny days are advisable, sun cream not really. A good rugged and waterproof rucksack will keep all of this kit together nicely…DO get a decent one, I got through 2! Oh! And a Safari HAT of course! Mosquitoes aren’t out yet, too cold, but ticks most certainly are- bring some tweezers! I got many whilst in the forests. Kwells seas sickness tablets work a treat for boat trips, especially the notoriously known choppy seas of South Africa…Immodium for those loose bowels of yours, the food can be too rich for the delicate intestinal linings of us Europeans, so this one will be of great help to stop you from living on the toilet at the most embarrassing of times. Never get caught out on safari! A water bottle bag is very useful too, as well as electrolytes in case of diarrhoea. This is to replenish lost bodily salts which are vital to your bodily functions. 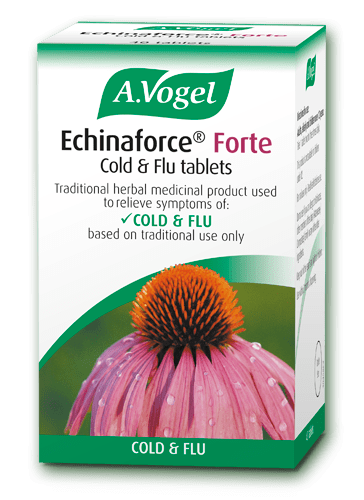 Echinacea tablets work a treat if you’re in contact with people…so many of the American students fell ill with cold bless them, these tablets keep all that away. I skimped a little on this…you shouldn’t but I was desperate to buy a GoPro and decided to spend my £140 on one instead of the 3 courses of Rabies. But YOU SHOULD if you’re working with wildlife! Also get your polio, tetanus, Hep A/B, and Typhoid re done if you haven’t. There’s no Malaria here so no need to splash out on the expensive tablets. All of the mentioned is free expect the rabies. Get them 2 months in advance before your trip and go and see your nearest travel clinic. My favourite part! Okay, PLEASE BUY A GOPRO your life would be incomplete without one!! Trust me, I used it on all my trips; the hikes, safari’s, swimming, surfing, cage diving especially, kayaking, canoeing, running, rock climbing, ect. It’s such a hardy little camera (waterproof 30m, shockproof) that it won’t bust on you, and it makes everything look amazing with its 180 degree wide view shots. Have a look at some top tips on creating your own videos here from my last post. I own a GoPro Hero which I bought for £90 on amazon. Plus et the extras like the selfie sticks, head strap mount, ect for those awkward moments where your hands are required. 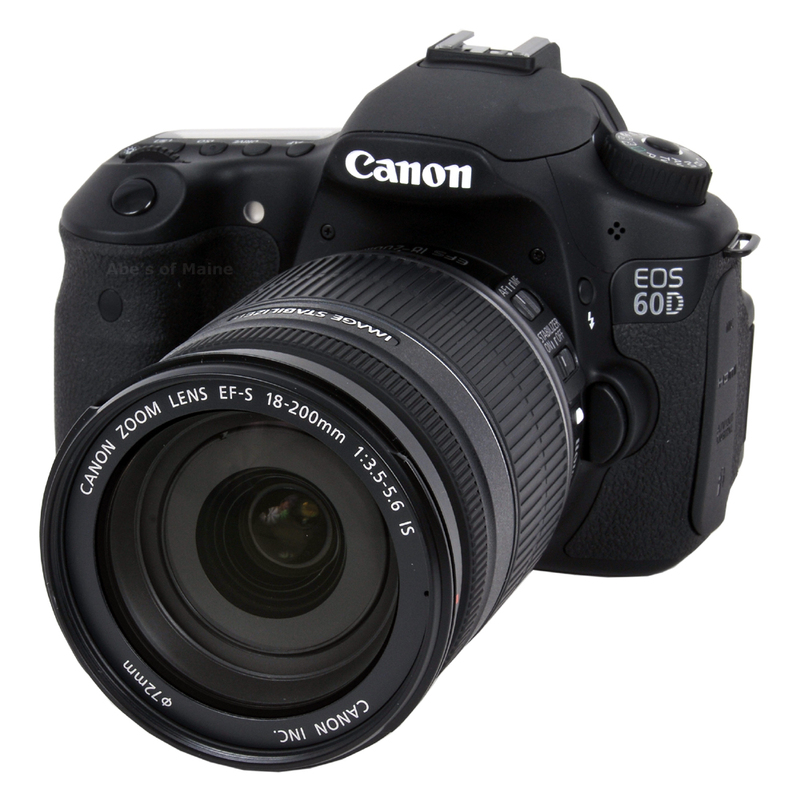 Of course I would say take a SLR camera, I myself have the Canon 600D with a zoom lens (another key bit of kit for close ups of wildlife and birds), with the flip screen to shoot video. I had the Tamron 70-300mm lens as well as the Manfrotto MH01 to shoot at night and film. Amazing what you can get from kit under £300. Here are some of my results. Extra batteries for your camera are a must. You wont get much opportunity to charge everything at the same time. 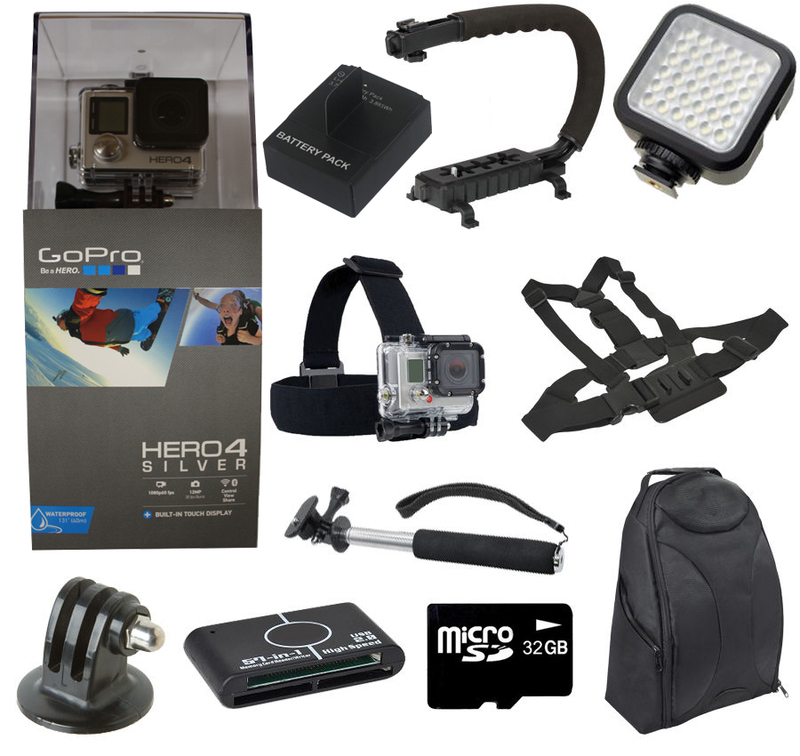 Also take extra harddrives (Samsung 1TB), SD cards, Micro SD cards (for your phone and GoPro), recording microphone for the amazing sounds, lens wipes and universal plug for your gear. Get yourself a car if you want more freedom. If you cash in with some friends it worth getting a car so you have the freedom to come and go as you please. There’s nothing worse than having to rely on others and wait hours to bunk in with people heading your way. I got caught out several times and was left in dangerous situations alone… You DON’T want this to happen! Also it’s really cheap if you get it for the month, and petrol is also inexpensive. Will cost you about £200 for the month to rent, and less than £170 for petrol…but it of course depends where you go. Make sure you have an international driving licence, or something in your passport to say you’re a tourist visiting for a month….we got pulled over by the police for this! 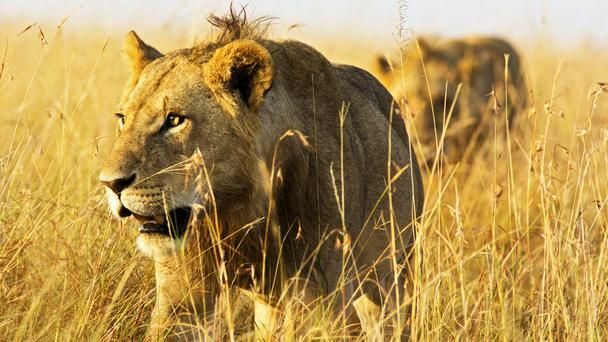 So now you’re ready to go to South Africa to the volunteering holiday of your dreams…And be prepared to have a rollercoaster of a time- Africa truly leaves a mark on your heart, and gives you the travel bug! More updates on what to expect in the volunteer sanctuaries as well as some amazing trips you can get up to too! 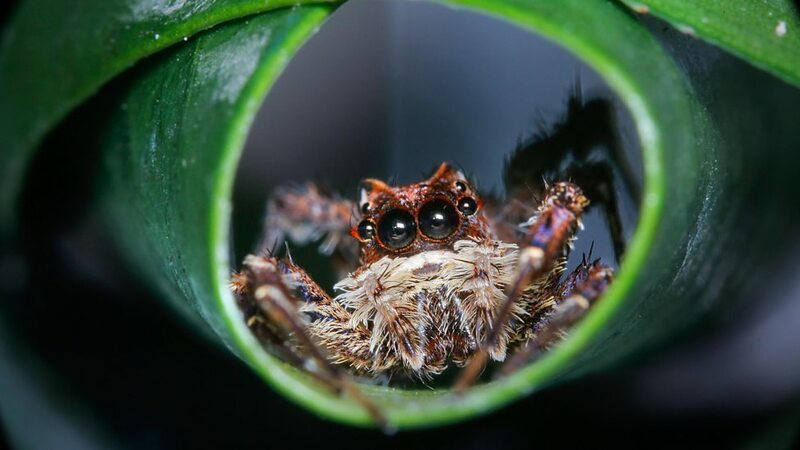 You literally walk off the stuffy 10 hour flight from London Heathrow to Joho and hear a myriad of clicking sounds, trills, calls, hi’s, shouts of seemingly unconnected languages. People here are remarkably talented when it comes to speaking different languages, and makes me feel incredibly derisible to only speak a mere two. 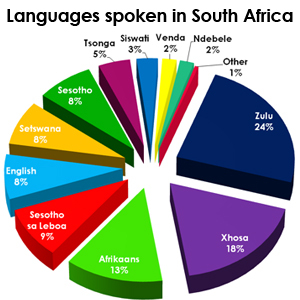 There are eleven official languages of South Africa: Afrikaans, English, Ndebele, Northern Sotho, Sotho, Swazi, Tsonga, Tswana, Venda, Xhosa and Zulu. Pheww! Dutch and English were the first official languages of South Africa from 1910 to 1925. Afrikaans was added as a part of Dutch in 1925, although in practice, Afrikaans effectively replaced Dutch, which was then no longer spoken. Thanks Wikipedia. This is an odd one- but having swallowed a bucket load during cage diving, sea kayaking, whale watching and surfing… the water is unusually salty compared to the Uk’s Atlantic. This is because the Agulhas Current which passes along the coast is, like the Gulf Stream, one of the strongest currents in the world ocean. 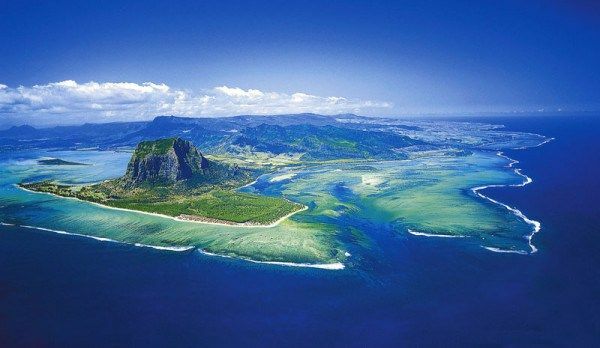 It carries warm and salty water from the tropical Indian Ocean along South Africa’s east coast. South-west of Cape Town it makes an abrupt turn back into the Indian Ocean. In this process huge rings of water with diameters of hundreds of kilometre are cut off at intervals of 3 to 4 months. These so-called “Agulhas Rings” carry extra heat and salt into the South Atlantic, making this a key region for the whole Atlantic Ocean. Just take a look at the Etosha salt pans in Namibia, covering an area of approximately 1,900 square miles (4,800 square km). 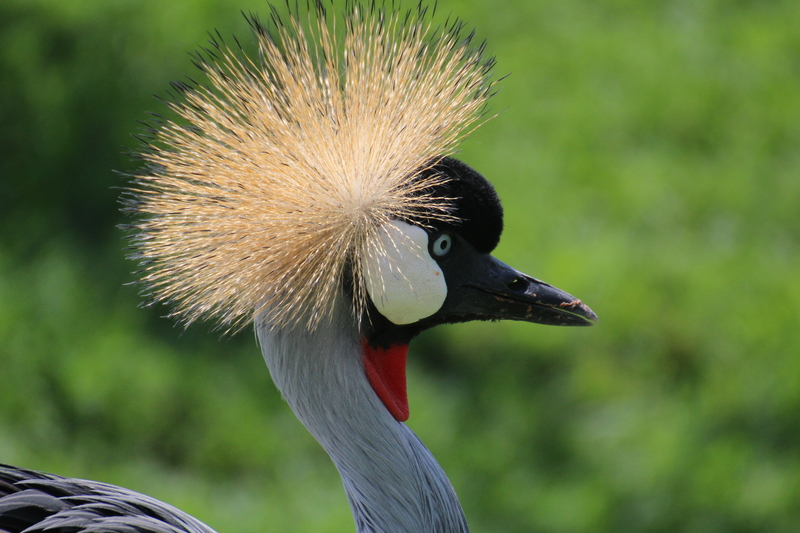 So get your surfers salt sea spray hair-do in South Africa! Yeah baby, you can work it like this too! Okay so we all know animals like to pinch your food. In the UK its usually seagulls at the coast and foxes raiding your bins at night. But when you see a 50kg Baboon legging it out of your kitchen bearing its HUGE canine teeth…then its rather grotesque bottom to you, you KNOW you’re in Africa. 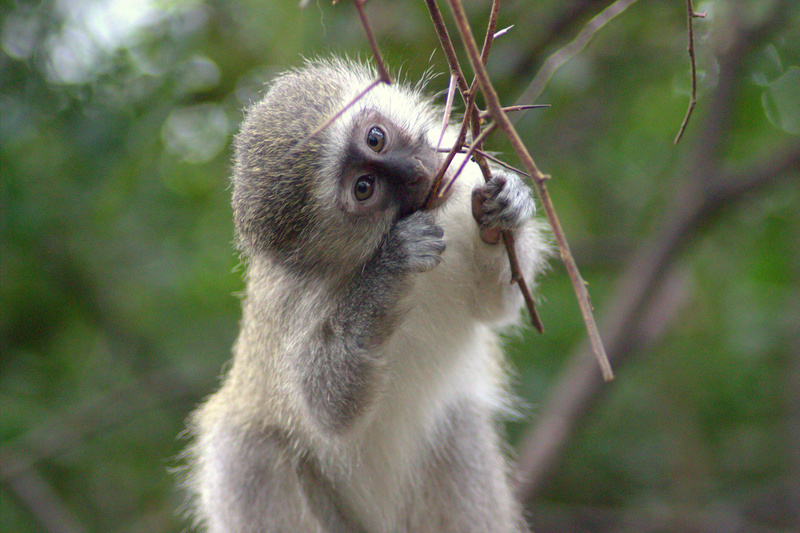 Vervet monkeys, although a lot smaller will also try their hand at pick pocketing. Having said that, within Europe it is possible to see a precocious primate pinch your picnic…Gibraltar in Spain is home to Europe’s only ape (other than ourselves), the Barbary ape. 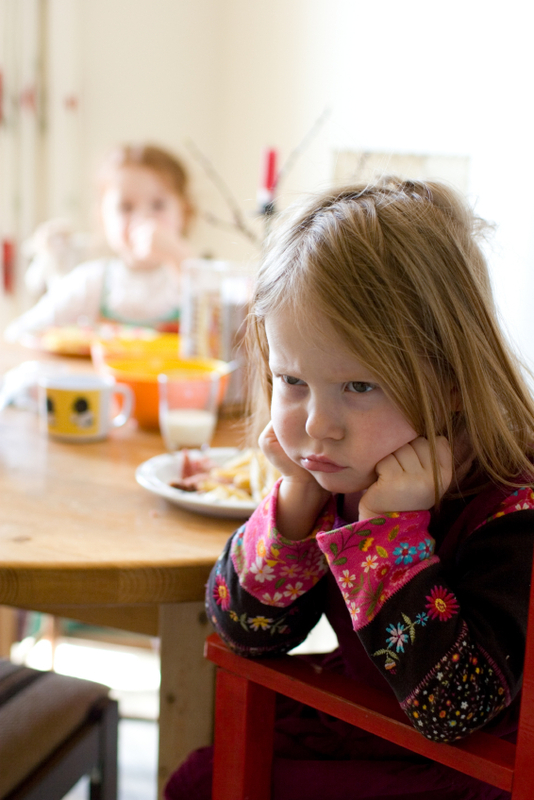 They’re notoriously known for stealing tourists’ food, so even at home you’re not safe! I thought Spain was bad…but in South Africa, the cheap price of cigarettes (roughly £1.50, or €2 for the best quality makes) means people smoke as if they need it to breathe! The air is consistently filled with smoke, it’s seemingly unreal. SO if you’re a non-smoker like me, a strong Oust spray or perfume is required when you travel, otherwise you end up smelling like a chimney! In addition, the amount of cooking fires people have just about anywhere means you literally walk around smelling like a smoked salmon…yummy if you’re a brown bear. Thank goodness you’re in South Africa then. 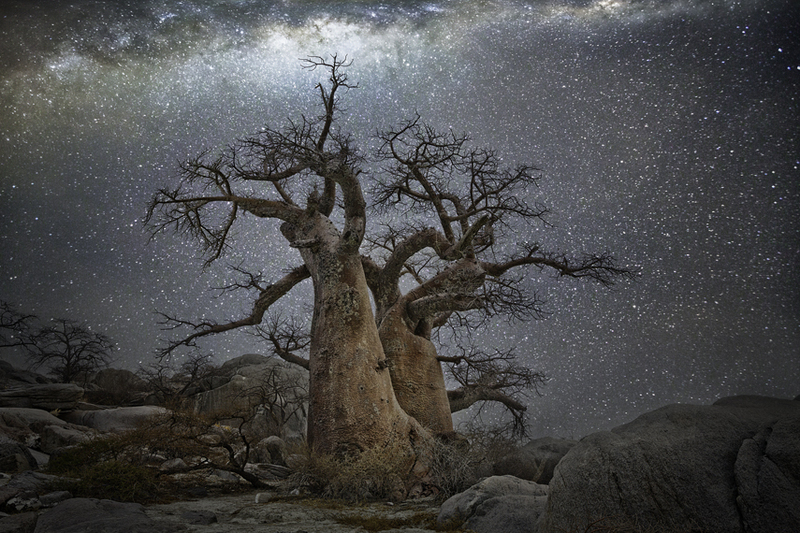 When you look up at African skies- you’re instantly taken aback by the shear clarity and detail of our most beautiful galaxy. Billions of stars scattered across the vast expanse of the universe, like eternal diamonds, glinting and constant…but wait a minute, isn’t the Big Dipper supposed to be over there? So this this is to do with the rotation of the Sky. Because the earth is rotating the sky appears to rotate. Viewed from above the north pole, the earth is rotating counter-clockwise. For an observer on the earth, objects move from east to west (this is true for both northern and southern hemispheres). More accurately put, when looking north, objects in the sky move counter-clockwise. Though all objects rotate in the sky, the observed path stars make in the sky depend on the observer’s latitude. Some are always in the observer’s sky, some of the time, and others are never observable. SO don’t get your stars in a twist! Astrophotography is especially remarkable here, so remember to bring a tripod, I was lucky enough to witness a Blue moon too, as well as the crossing of Jupiter and Venus! Agriculture is HUGE in South Africa. In terms of cattle, in the UK there’s now 1.84 million dairy cows in the UK dairy herd, whilst approximately 80 % of agricultural land in South Africa is mainly suitable for extensive livestock farming… that’s a LOT OF COWS. South Africa produces 85% of its meat requirements, with 15% imported from Namibia, Botswana, Swaziland, Australia, New Zealand and the EU. Local demand generally outstrips production, even though there are untapped reserves in the communal farming areas. SO THAT’S WHY they have a lot of Braai’s. Of course it doesn’t stop at cows, you can also chomp on Zebra, Springbok, Kudu, Crocodile and the famous Ostrich. 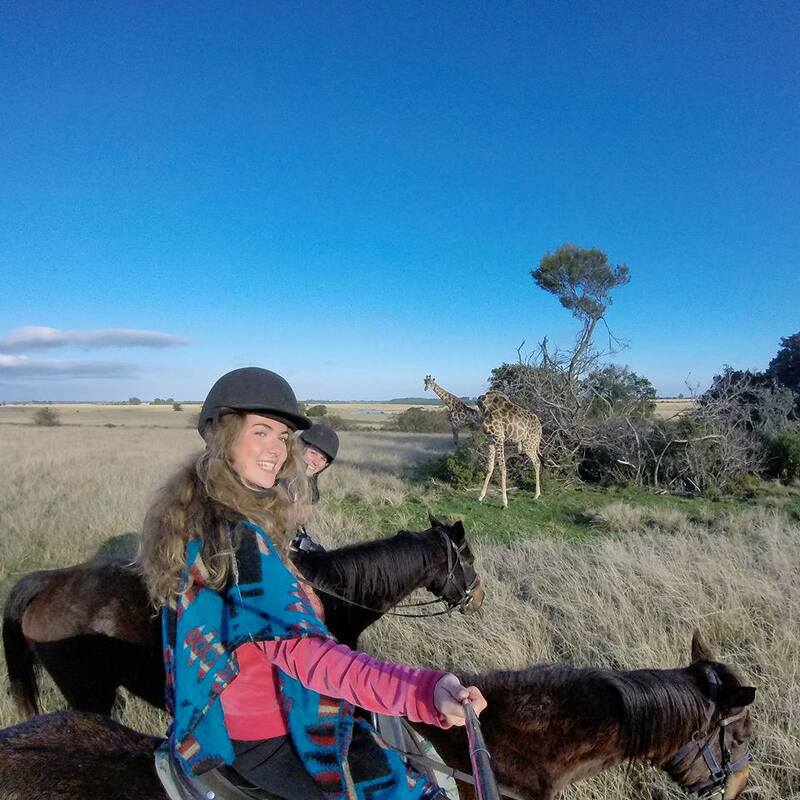 If you head over to Oudtshoorn, not only can you ride ostrich and have a selfie..but have a leather bag and burger to go with that. Not my cup of tea but hey! Clutching shopping bags, glugging wine, and lounging on pristine beaches: South Africa’s weak rand is drawing few complaints from foreign tourists getting more bang for their buck. According to a recent Post Office study, a Briton buying £500 in local currency can get 22.3% more for their money, or an additional £91.03, compared with one year ago. 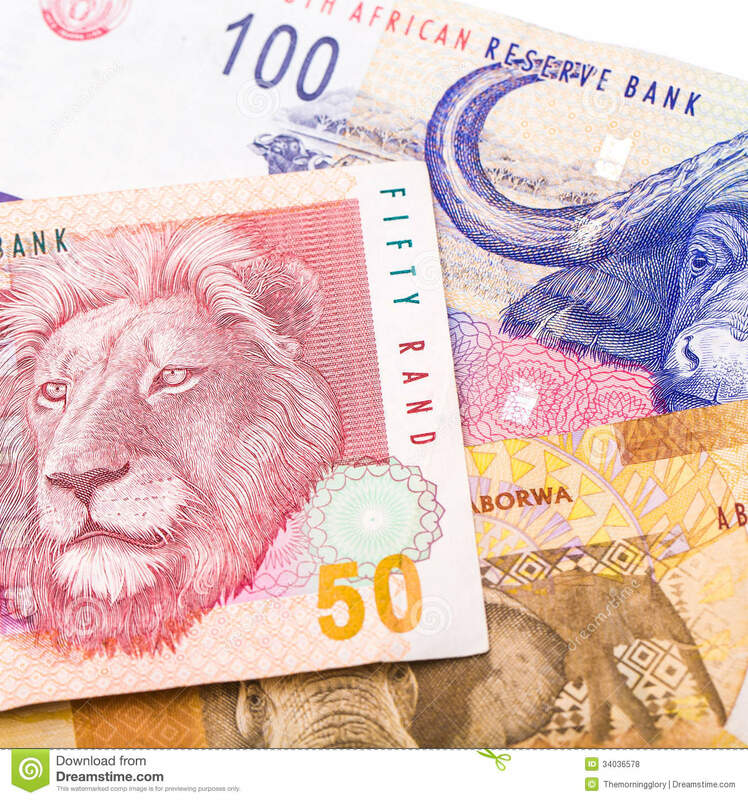 The current exchange rates from £ to rand are: £1=20.7 South African rand. I mean that’s remarkably weak…having said that, in the past if was far weaker, only now are South Africans able to benefit from tourism. You can get your regular shop for less than a fiver, go out on a safari for £13, get a taxi for £5, fine-dining for £5, accommodation for £10 or less. Hence why there is such a draw to places such as Cape Town and Plett, the strength of the pound in particular means it’s hugely attractive for students too, looking to enjoy their student finance money! A sad fact that reflects the state of poverty amongst many white and black South Africans. The strength of others currency against the rand and low wages means locals rarely have the spare cash to experience the delights of SA themselves. The median hourly wage in Pounds in the UK (net) is £5.90 versus £1.05 in South Africa. This is something that should definitely be addressed in terms of local discounts, but it’s encouraging to see that in National Parks residents pay half the price. SO we can consider ourselves very lucky! 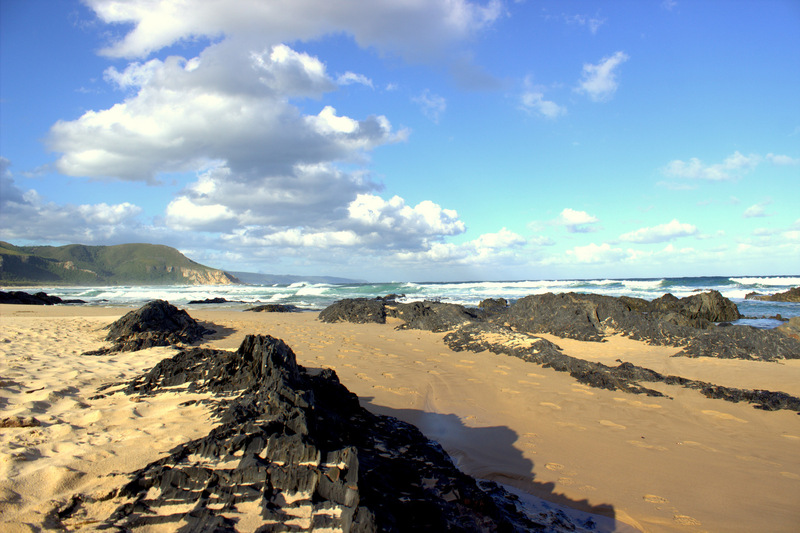 The stunning sands of Plettenberg bay, Mossel bay and Knysna actually squeak! When Marco Polo heard them in the Gobi Desert, he believed they were spirit voices. Ancient Chinese literature describes ritual celebrations of their divine power. After generations of mystical interpretations, researchers are finally closing in on a scientific explanation for the acoustics of sand. They now agree that the phenomenon of noisemaking sand is made possible by the action of displacement, which produces musical instrument-like vibrations in sand grains. The exact recipe for noisy sands is still only wholly known in Mother Nature’s kitchen, so next time you walk on a squeaky beach, know that there’s even an equation that science provides to explain why (there’s even a book on squeaky sand…I’m not kidding! 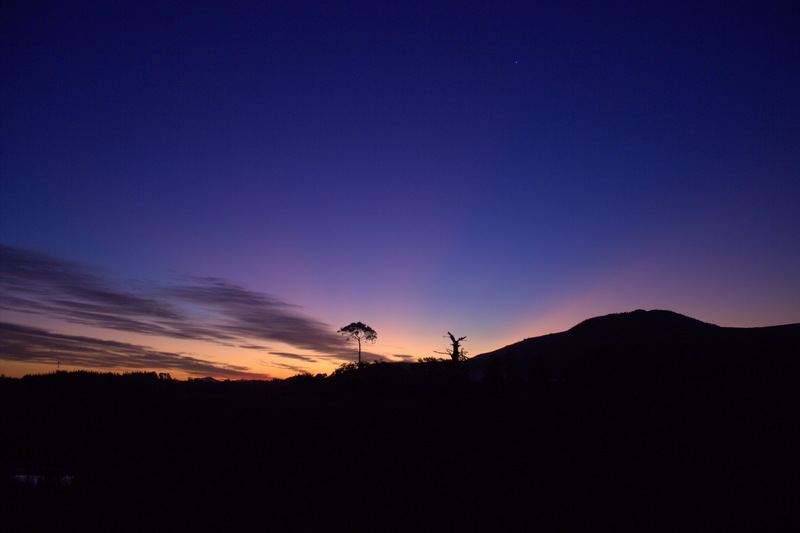 Probably one of the most magical things about Africa in general is the ephemeral light during dawn and sunset. When I recently visited, the sun rose 7am, painting the myriad of trees and mountains in golden, pink, burnt umber and orange shades. It brings about such a powerful feeling of belonging and inspiration– along with the equally magical chorus of bird song. At night, when sadly we have to see the sun slip away into the darkness, the hues and intense saturation truly makes you feel alive… casting sharp, vivid colours and creating immense silhouettes; a painters and photographers dream. 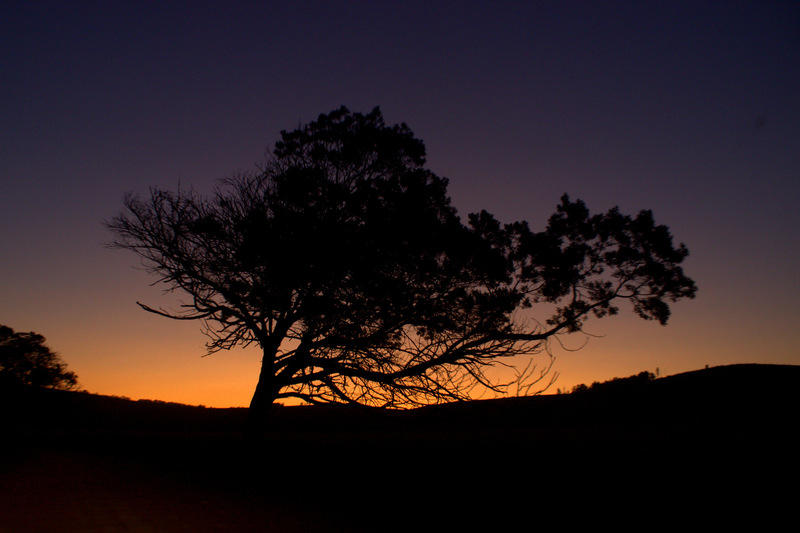 But then as soon as the sun began to set, it seemingly disappears, as if someone has switched a light switch off, to then reveal a vast sky with scattered diamond-like stars winking at you from the distance. Small Cape river frogs will sing you to sleep with their sweet chirpings, as well as the amorous male crickets… (Anyone for “can you feel the love tonight?”) If you’re lucky you can see Venus and Jupiter in the distance, as well as the Milky way, Southern Cross, Dipper, but of course all in reverse in the Southern hemisphere! 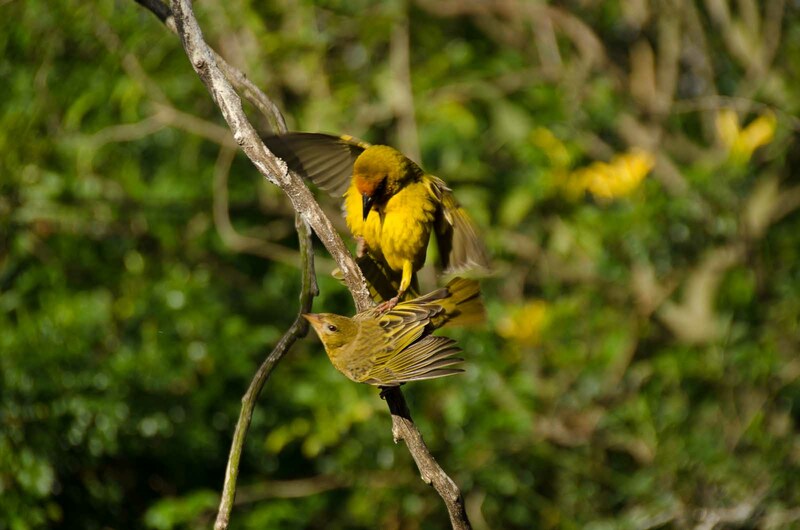 South Africa is world renowned for being a birdwatchers paradise, from the stunning iridescent plumage of the Orange-breasted Sunbird, to the cryptically coloured knysna warbler- it is most certainly a top-class spot for any avid twitcher. 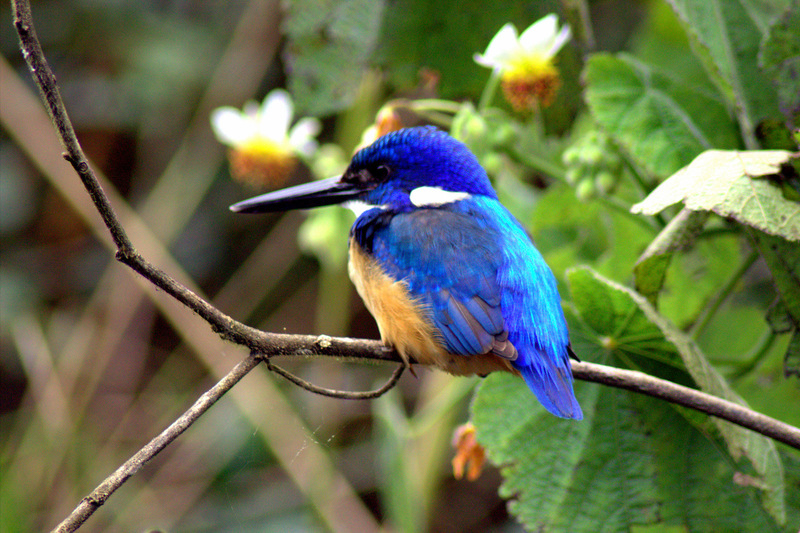 Of the 850 or so species that have been recorded in South Africa, about 725, (85%) are resident or annual visitors, and about 50 of these are endemic or near- endemic to South Africa, and can only be seen in the country. You can literally be walking in your back garden and spot a beautiful Golden Oriole, or hear the rather raucous calls of the Egyptian Geese. 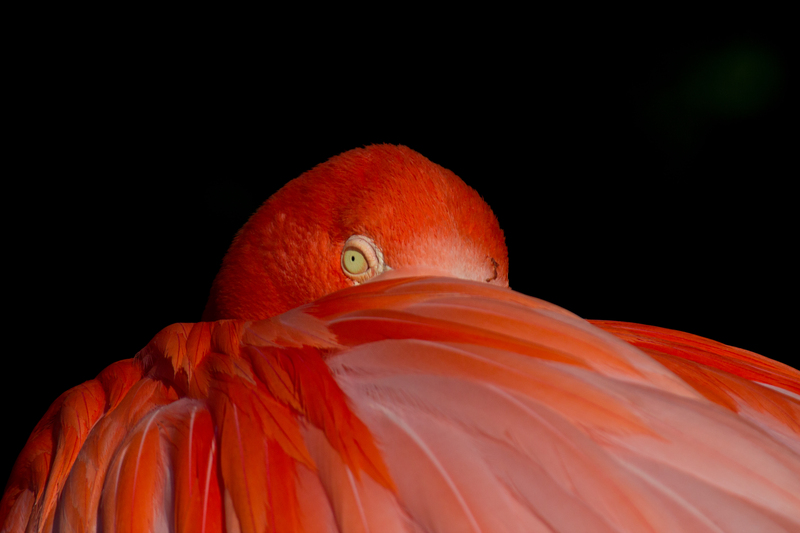 But if you’re not feeling adventurous and want to find the birds for yourself, head over to Birds Of Eden in the Crags- the world’s largest free-flight bird aviary- it truly is a class above the ones in Europe. Having volunteered there myself, the sustainability of the project is exceptional and the species you see are truly stunning. I’m no foodie, but even I will indulge in a fruit salad or yogurt after dinner to cleanse the pallet. It seems here your daily food routine is: Breakfast: Granola, rusks or toast, Lunch: jam sandwich, Dinner: Meat and MORE MEAT…veg if you’re lucky! Also people eat REALLY LATE here: between 8-9pm. In Spain I must say it’s quite similar but I think an earlier 7pm dinner suits many of us better so we don’t all feel like an obese lion and have to literally roll to bed with all that meat in your belly. And during winter when the sun goes down by 5pm, you often feel like a torpid bat by 8pm. Slurp it all down with some Rooibos tea if you can, it’s excellent for digesting food! Okay, so no, I didn’t break in like my monkey friends so often do to pinch a bag of apples. But the ghost-time quality of the more luxurious houses and overgrown weeds hinted the lack of human inhabitation. Also locals have told us how many Europeans and westerners will buy such homes as holiday get-always and visit during the summer to escape the increasingly wetter winters at home. So Plett is indeed a playground for the rich! A week after arriving I experienced an intense hot-blow drier wind which was truly glorious, despite it being winter. It’s one of Plettenberg Bay’s unusual weather phenomenon’s, where squally anticyclonic wind blowing off the interior plateau at 90 degrees to the coast will produce a hot dry outflow of air across the coast. It’s a welcoming change from the sharp cold air that dominates during the mornings and evenings, where the berg winds are especially frequent off the west coast and can raise temperatures to 25-35 °C. Humidity can also drop from 100% to 30% or less- a perfect night to go out and enjoy the stars with the clear dry air, or if you fancy a dance, heading into town with no need for straighteners to control that frizz girls… Berg-brilliant! 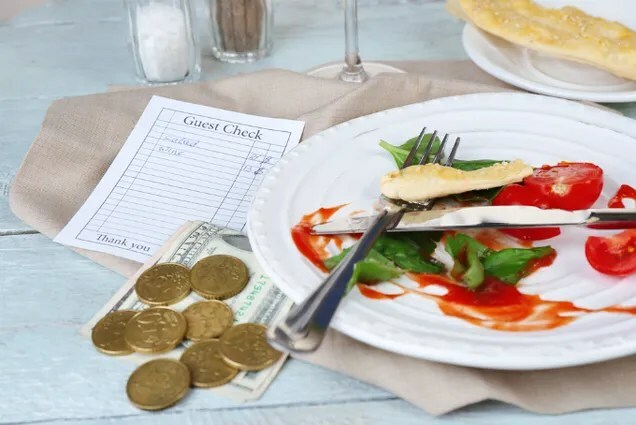 I have NO problem at all with tipping- it feels good and people deserve it if they are giving you a service. However, so many people are willing to do things for you, as a student you soon run out of money! Literally everywhere: petrol stations, restaurants, EVERYWHERE YOU PARK YOUR CAR, attractions, even toilets! SO carry some spare change with you where you go! Okay so yes it’s the Surfing capital. But still, it feels like a student town but with surfers. It’s an amazing place to be, with such a cool al-fresco feel about it. We visited when it was raining, but they all seem to be very proud of this most ancient of sports, with a buzz in the air even after the International surfing competitions. We just arrived after the infamous Mick Fanning shark attack which was on everyone’s lips. No surfing today then! It’s incredible the shear range of activities you can get up to here. In the 6 weeks I visited, I literally only had a single day where I didn’t do much, just because of the shear range of places to visit and get up all sorts of adventurous fun! Plettenberg Bay’s position in the Western Cape means it is perfectly situated to enable tourists to lounge and walk along their stunning white beaches, dine like a king (or queen) in many of its finest restaurants for less than £5, launch yourself of the world’s largest bungee, go on horseback ride safari’s, swim with seals, paraglide, skydive, rock climb, surf, see monkeys, big cats, falconry, craft markets, whale watching……The list is endless! The hikes are especially rewarding and offer the most spectacular scenery. Keep checking here for updates on how to do it on a student budget! 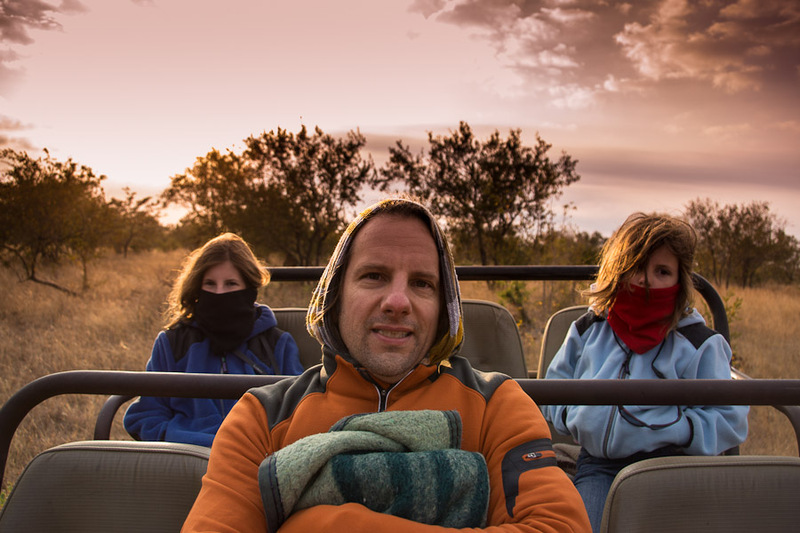 JUST because its Africa doesn’t mean it doesn’t get cold! I initially thought this; perhaps it just me being foolish or hopeful, but I really did expect it to be warmer! My poncho was a lifesaver which I fashioned into a hiking rain jacket, beach towel, pillow and fashion throw… Do take one on your trip as well as waterproof hiking boots, socks, umbrella, rain jacket, warm jumpers and jackets to peel off. It will get warm all of a sudden when the sun comes out, but in the shade it can get to a chilly 10 or 2 at night! This isn’t unexpected I must point out, but its more of a beautiful fact… All my life I’ve been told how dangerous South Africa is; that everyone looking at you is simply there to steal, mug or kidnap you. And don’t get me wrong…I’ve had some pretty close shaves since being there which were unpleasant! As well as being stolen from. But the kindness of strangers is something that stands out the most for me: from locals helping 3 distressed girls on a busy motorway with a bust car (yep that happened to us! ), to people offering their smiles, inspiration, laughter and reassurance… and now I can proudly say that many of them are now my friends! 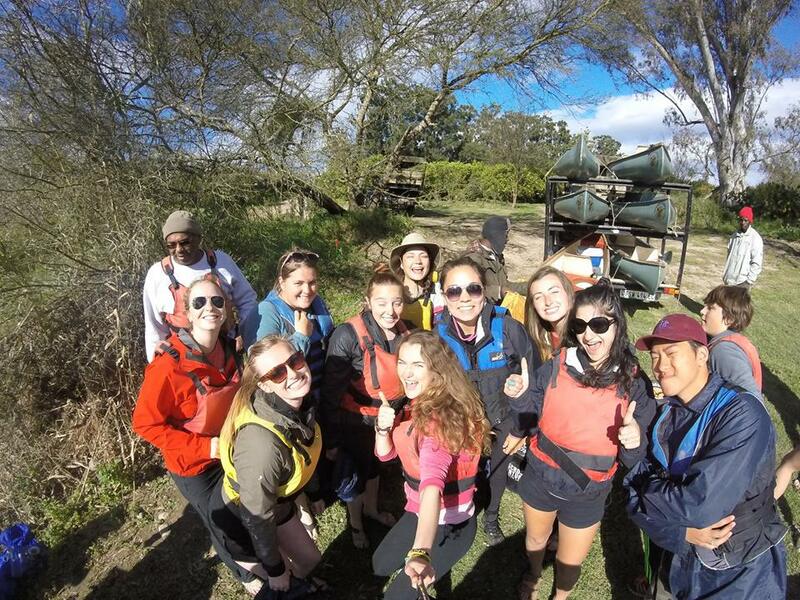 Western Washington University students and I at Addo National Park- my final leg of the journey! GO TO SOUTH AFRICA- ITS AMAZING! 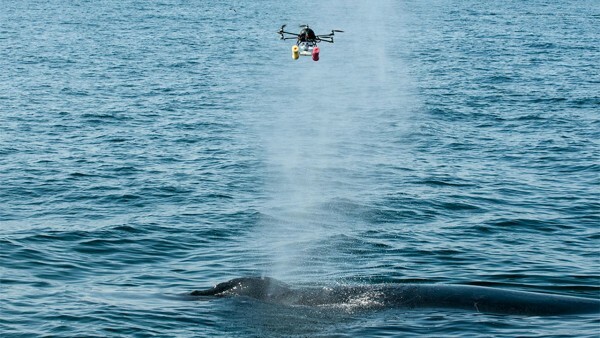 It is only when, for the first time, that you see one of these COLOSSAL creatures in their element do you realise how small species we are – and yet able to cause so much damage to the world’s greatest biome that the Great whales live in. 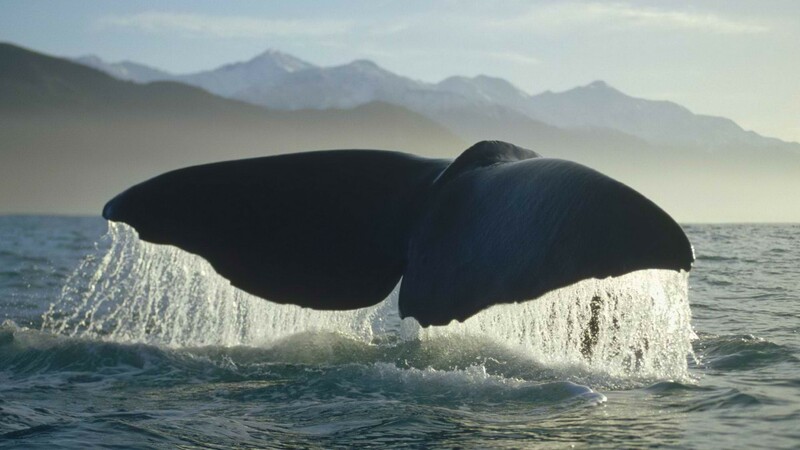 These great whales are frequently found along the coasts of South Africa as the currents that pass through the Indian Ocean bring up-welling’s of nutrients and food to feed these 20 tonne giants. This is where the fresh, cooler waters from Antarctica meet with the warmer currents of the Pacific. 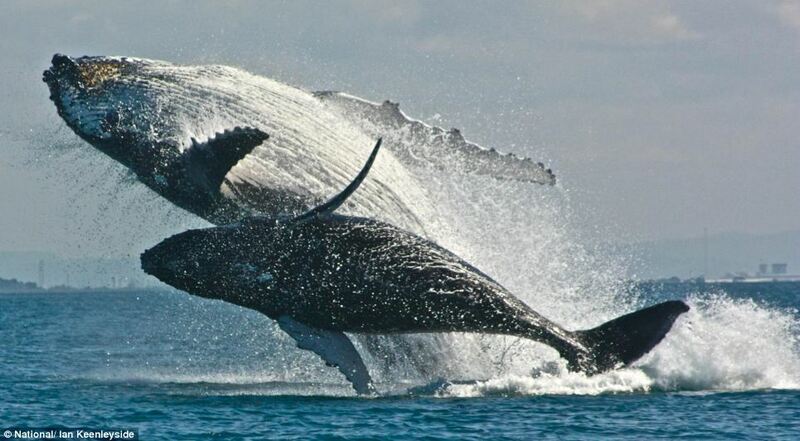 However the main reason for the presence of the whales is to mate– this is literally a clubbing lek for whales wanting to find love, and also for mothers to give birth to their calves. 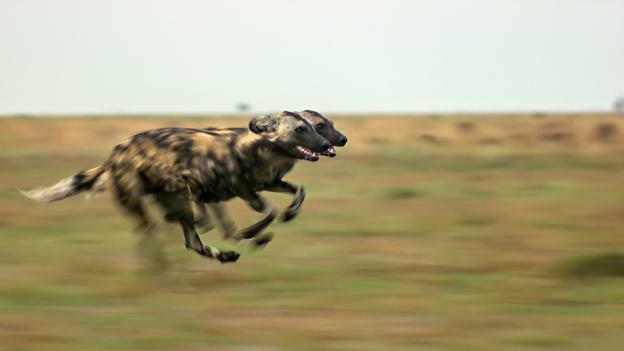 Many locals have told me about remarkable sightings of females being pursued by amorous males for many kilometres on end, what sight that must be! Their numbers are slightly increasing since the 1970’s ban imposed by the Whaling Union in Durban, and the dreadful practice of killing these magnificent mammals has halted. Most people now see the whales as being more valuable alive than dead which is huge plus. 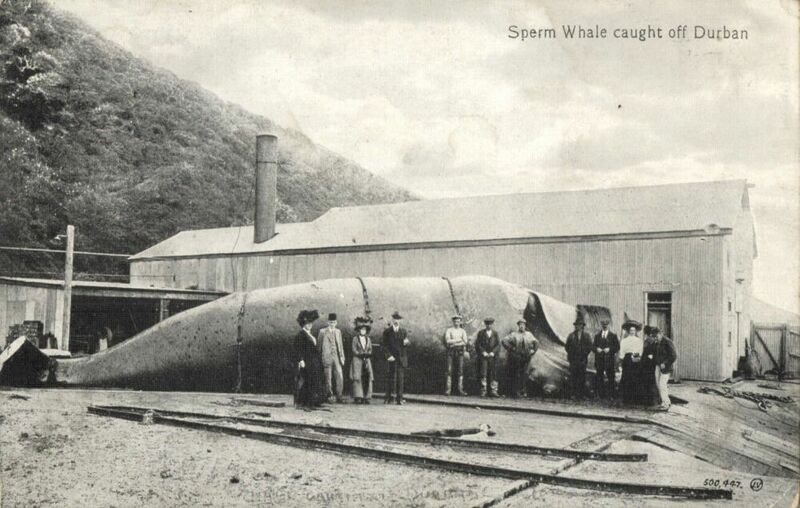 The whaling industry was hugely prolific back in the 1950s, from the shores of Argentina and South Georgia, (in particular during the Falklands war). South African whaling stations along the coast were also being established along False Bay where the meat was processed, where you can see remnants of the place today. Namibia also had a large station as well as Durban and Cape Town as well as in New Zealand and South Australia. 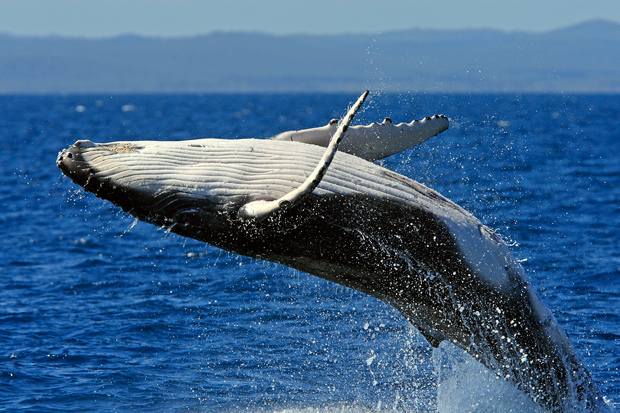 To see whales in their natural environment has always again been a life-long ambition. 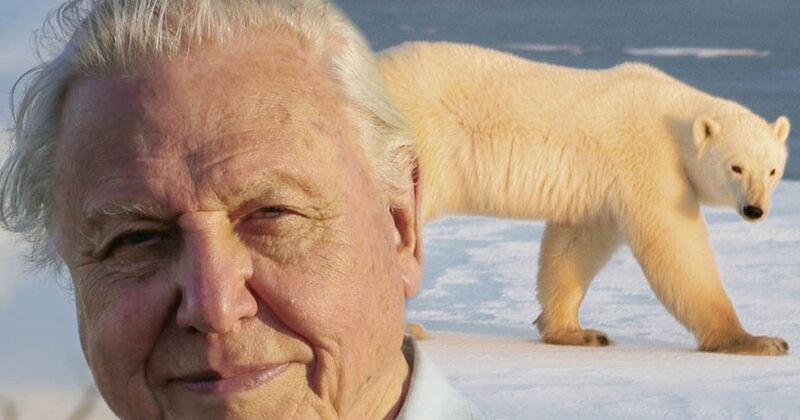 Watching Sir David Attenborough documentaries, and seeing incredible camera operators such as the multi-talented and hardy Doug Allen and Diddie made me want to come into contact with these gentle giants myself. 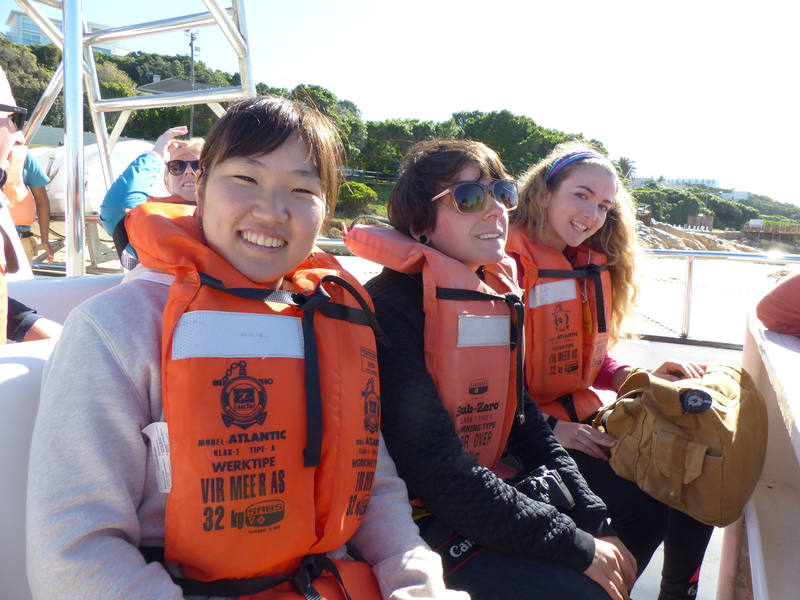 Ocean Safari’s made this possible with their coastal tours of Plettenberg Bay, they are the oldest whale watching tour guides on this part of the coast and offer discounts to volunteer students (was 800 rand, now to 500 rand which is around £25-27) for 3 hours of whale watching. 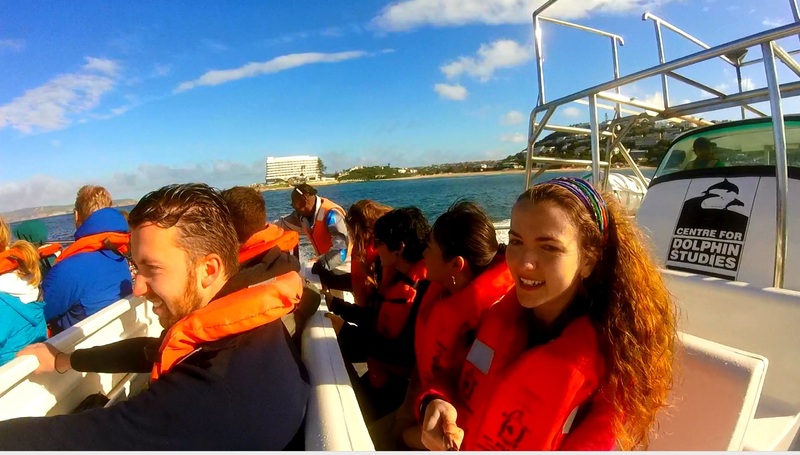 You have different excursion times from 9:00am, 12:00 and 2:00pm daily throughout the whole week (weather dependent). So you should always call up if you want to have a tour and book it. The different species of whales you can see include Southern Right, Humpack whale, Brydes whales, and bottle nose dolphins, common dolphin, sharks, cape seals and Orca! The possibilities are endless. The Captain of the Ocean Dafir’s was Marvin, who was an expert sailor- and I asked him how long he’d been sailing this particular vessel- and his response of 15 years assured me that we would be in good company and able to see and spot the whales. Our guide was equally qualified and friendly to us all. 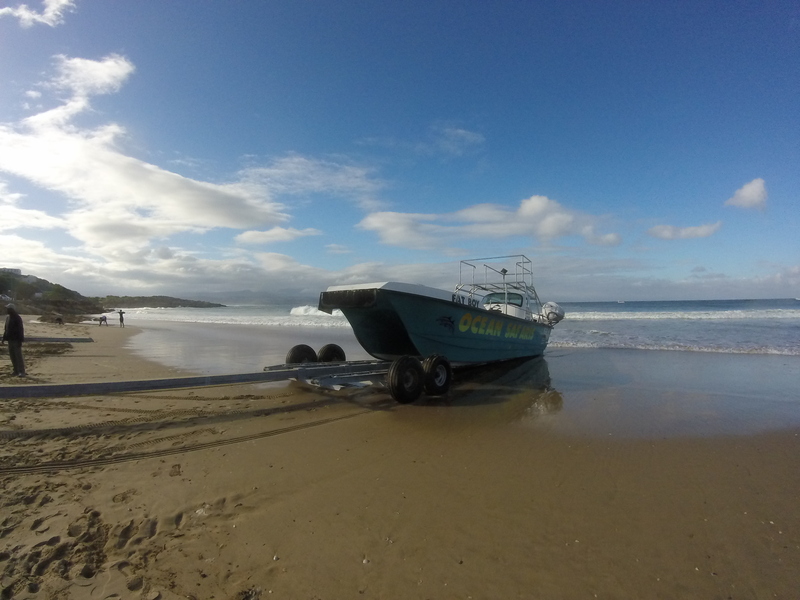 We had a quick safety briefing as usual and then headed off to the Plett central beach bay with our life jackets. We were ready to set sail! Thrash! We speed off towards the sea and jet stetted off towards the headland of Roberg where the Cape Seal colony resides. The weather had improved significantly compared to the previous day, although clouds did loom ominously in the distance. I had taken my trusty sea sickness tablet, Kwells, which I would recommend taking even if you “don’t get sea sick,” just because it give you that reassurance. I warn you, you WILL GET WET. Do take a rain jacket if the company you go with doesn’t provide you with one. The sea salt will leave you looking like a shipwrecked drugged up model with sea salted hair but don’t let that put you off! It was glorious bouncing along the Indian Ocean, and being kissed by the spray peppering our face. 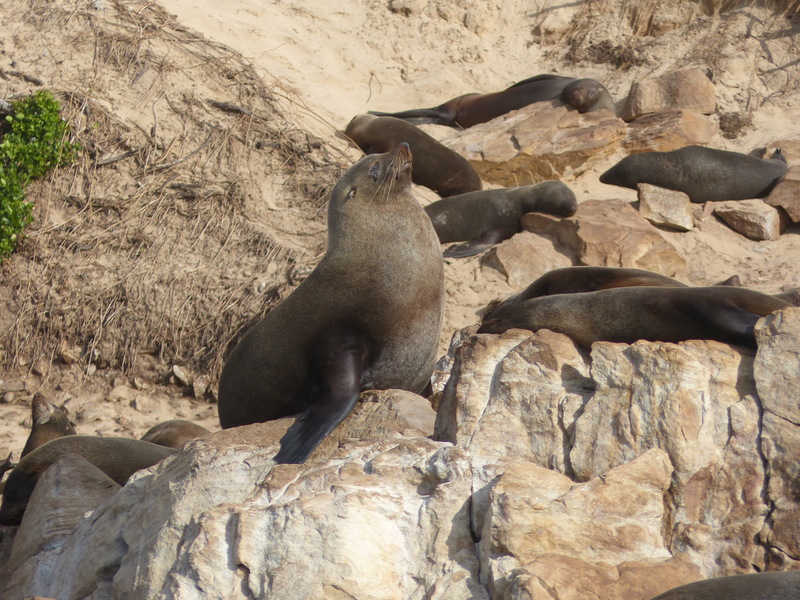 As we approached the seal colony everyone grabbed their cameras and gasped at the extent of the Seals climbing abilities. 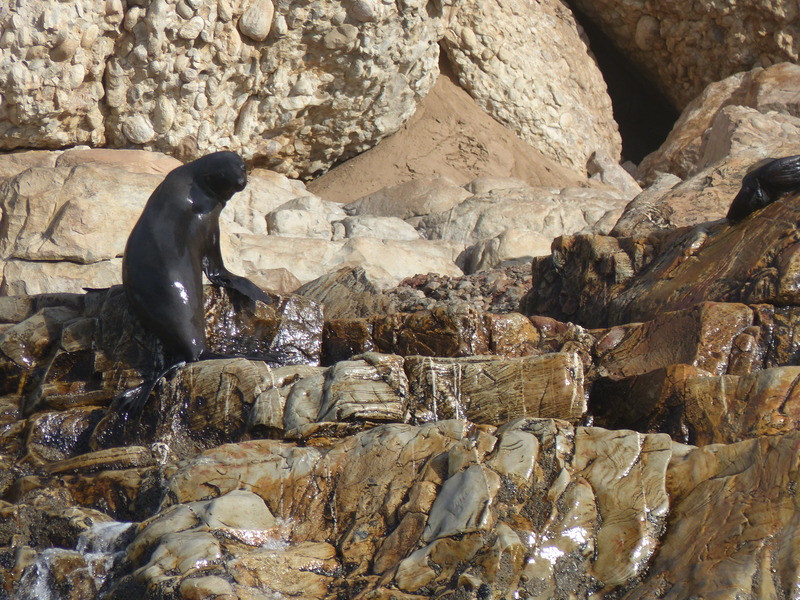 These were apparently the highest climbing seal colonies in South Africa, some at least 40m above the progressively swelling sea that thrashed against the rocks, sending a jet of white foam into the air like flecks of white paint. 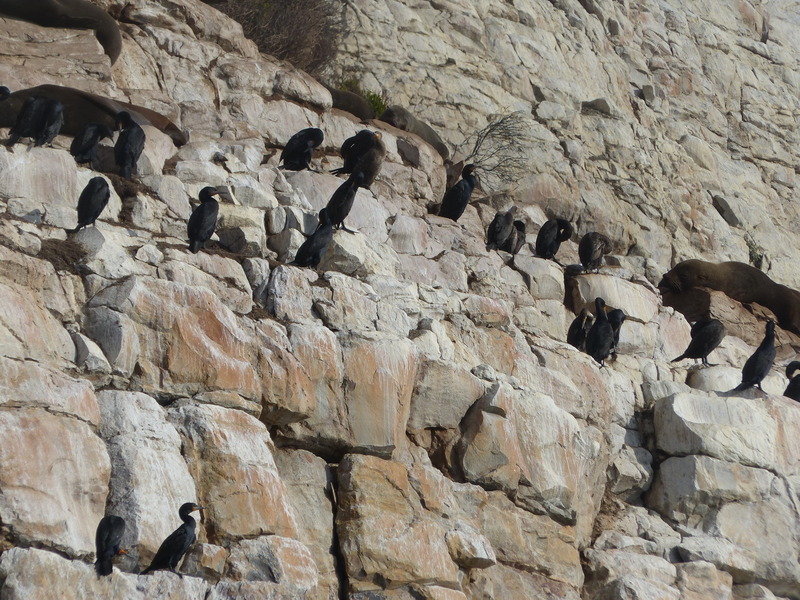 Above is Roberg, a fantastic place to hike and below the seal colony is visible as well as the whales and sharks! Posing for the camera! 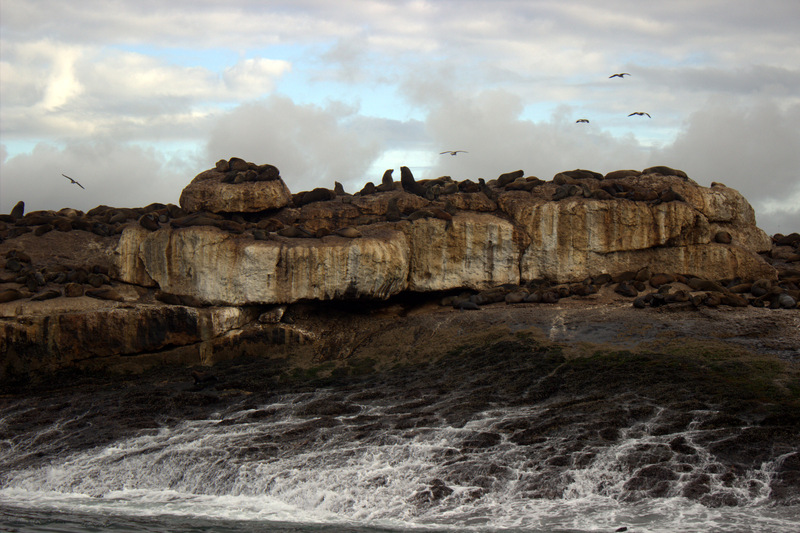 Cape Seals on the rocks. There’s a fantastic opportunity to “Swim with seals” which is run by the same company. I’m not going to lie, I was a little perturbed by the size and progressive onset of swells that efficaciously emerged from the seemingly endless ocean- this was my first experience on a boat on a choppy day. I have previously been on a dolphin safari in Spain, but the waters were tame compared to this. As we bounced along the sea, we kept focusing on the sea horizon, and the reassuring words of our friendly guide who assured us we would see Whales, and to keep looking out for the spouts of spray. The humpbacks and Southern Right whales have the two blow holes from which they breathe when they surface. Yes that is a helicopter drone you can see above the spray, they are being used now to take samples of the animals and take aerial photos- top class! The sound they make as they breach is a characteristic “ptfffffffff” which is seemingly imperceptible amongst the sound of the waves and wind resonating through the hull of the boat. Everything seemed to be a Whale, every wave! After 30 minutes even I was beginning to lose hope and wish the trip was over as my stomach began to churn…but then I saw the cool waters break and an immense grey dark shape emerged from the depths and glided across the surface effortlessly, the afternoon light reflecting profusely along its streamlined body- it was a Humpack! “Over there!” I gasped in awe. The captain and guide then followed my hand signal to my surprise, was it a whale or did I imagine it? Nevertheless we sped on, and then there it was again, the spouting and the appearance of the whales back, this time accompanied by a miniature version of itself- a calf! This was a female travelling with its mother, perhaps one that had been born there and now off to feed. They did indeed seem to be hungry and moved with remarkable speed. I had no time at all to take photos, and so filmed everything on the GoPro. I would recommend the same. 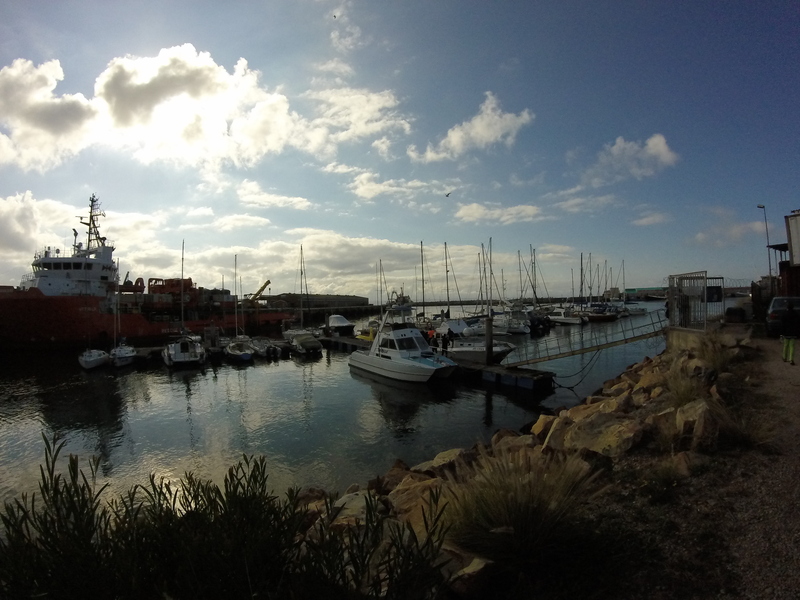 The water and spray could really damage your camera, and the Gopro on the selfie stick works wonders as a stabiliser. And then all of a sudden as soon as it had started, it was all over, and the skipper had already extended our trip to get further views, and so we headed back past the seal colonies. I spoke to our guide about any BBC film crews that had shot in these waters, and apparently Dolphin Army was filmed off these waters! I mentioned my plans to film in South Africa as part of my final film project next year, and he said that they would be more than happy to accommodate students! Score! So who knows, I may return to film some of these remarkable marine species in more detail the following year. 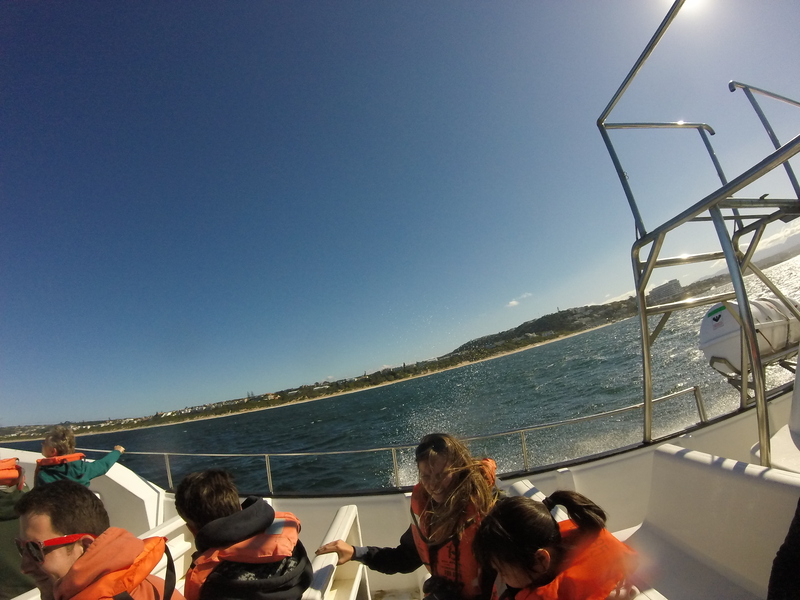 But if you’re around Plett or South Africa in general, I can’t recommend a Whale Safari more highly, it’s one of those experiences that never leaves you, and it’s now made more aware of what we’re putting into our oceans. As part of the #BigBlueLive filming that will shortly hitting our screens on the BBC, I think it’s vital that we get behind our gentle giants of the oceans and keep putting pressure on our governments to create more marine reserves around our waters in the UK and worldwide. Happy Whale watching! 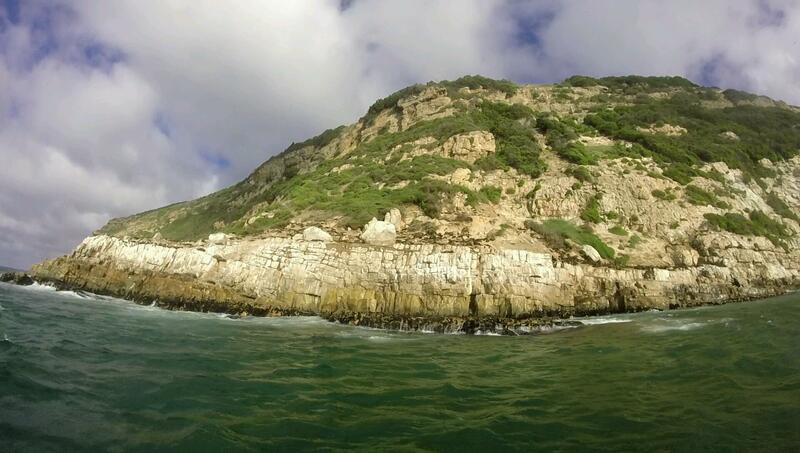 It’s always been a lifelong ambition to go cage diving with these remarkable evolutionary powerhouses of the stunning coasts of Southern Africa. Ever since watching Blue Planet as a child, the images of these great fish, perfectly adapted to their environments with their colossal 6m size, 1.1 tonnes in weight and 300 blade like teeth, it naturally appealed to me as a passionate zoologist as I am certain it does you if you’re reading this. This week is the International Shark Week by a happy coincidence, and I happened to be in the right place at the right time to be able to have the incredible opportunity to see these superlative predators of the ocean in Mossel Bay, one of the Great White hotspots of South Africa. 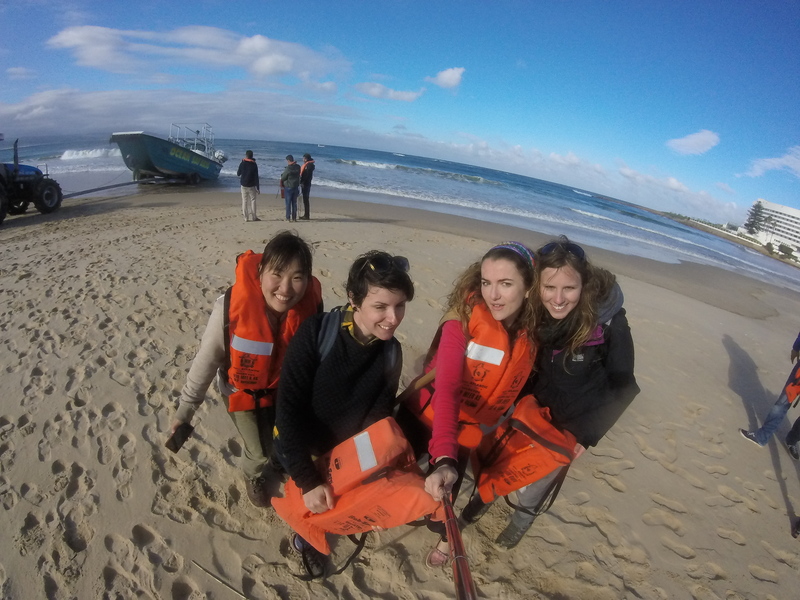 I joined 3 other volunteer students at Monekyland, Tsisikama National Park, on a 3 hour drive from Plettenberg Bay to the “White Shark Africa” ocean extreme experience diving and viewing these magnificent species. We rented a car from Euro car at a reasonable price of 500 rand (£33) a day split between us travelling along the scenic route of the N2 motorway through the resplendent lagoon town of Kysna (30 minute drive from Plettenberg Bay), George and finally Mossel Bay. It was one heck of a last minute arrival faff trying to find the place but eventually we found it in time! We had arranged to get there for the 12pm slot where the 1st group of people would be returning from their trip and where we would be getting ready to go to Seal Island at 1pm. The last cohort had mixed facial expressions, some with a hint of fear, others with a perpetual smile on their face. The cost of the trip isn’t cheap at £70, although relatively less expensive than some other tour operators in Cape Town (£120). 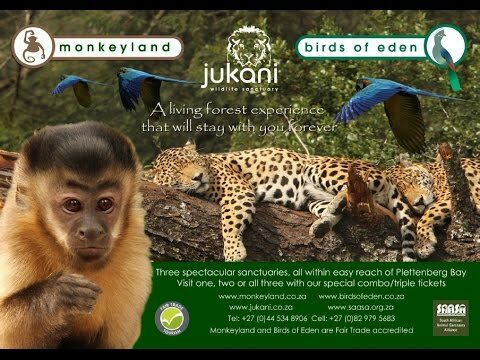 We got a discount to 1250 rand (£60) for being volunteers at Monkeyland, usually being 1350 rand. And so as soon as we signed away a form agreeing to the conditions of the possibility of being cleaved in half by a Carcharodon carcharias, we were offered a mini buffet of assorted food which I managed to get down after a sea sickness tablets. I would highly recommend the Kwells as you only need to take them 30 minutes earlier rather than the usual day before ones. Dan our instructor gave us a snappy (pardon the pun) talk with regards to the species and what was happening, and a rather overzealous depiction of his favourite individual, Black Gill. Apparently he was the more aggressive one and we were to look out for him. 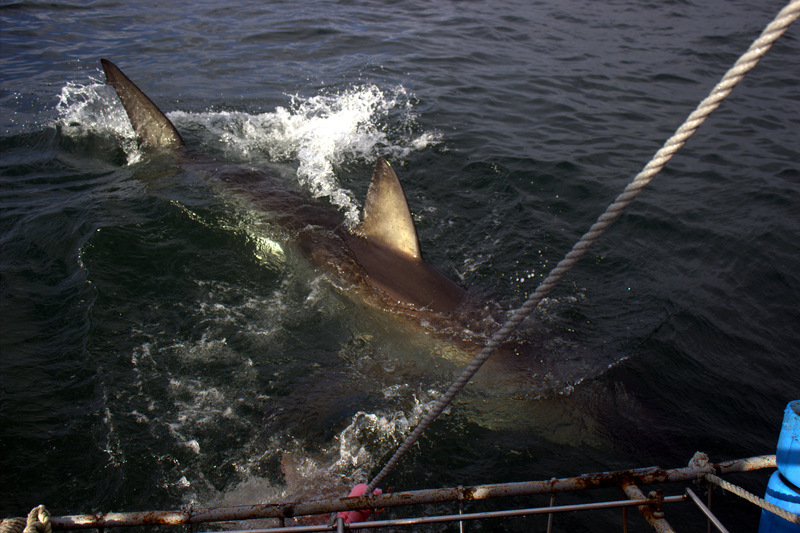 So we were primed and ready to head down to the bay to set sail on the “Shark Warrior,” their 11 m long vessel complete with shark cage. And so off we went towards the rather adeptly named Seal Island, and off into the misty murky waters we went…The boat itself felt rather stable and robust as we hummed along the Indian Ocean and pivoted around Seal Island, with the 2500 Cape Fur Seals nonchalantly sunning themselves in the winter sun, blissfully unaware of the predatory fish beneath them in the dark, deep waters. Everyone was feeling nervous and excited at the prospect of coming face-to-face with a Great White, and the possibility of some incredible photos. 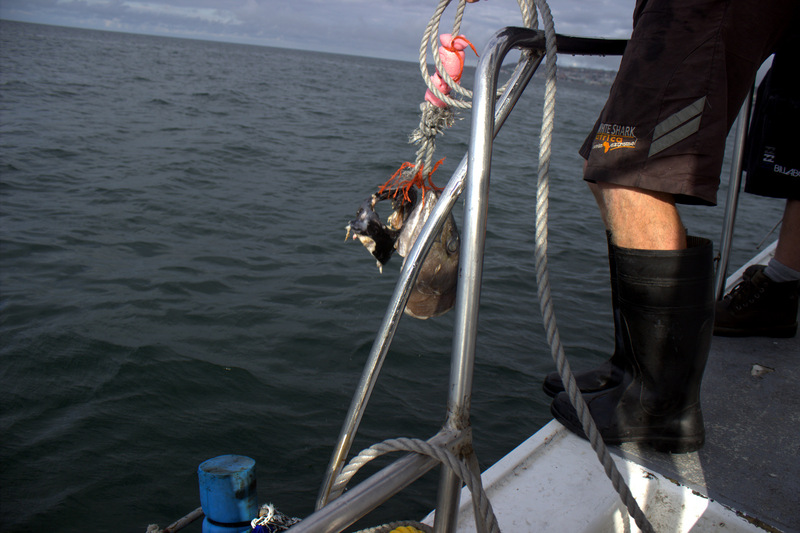 We eventually anchored and it was time. We were asked whether we wanted the first dive, we replied with a confident why not. We zipped up the dry suit having changed on deck to the crew’s amusement, whilst I struggled to contain my hair within the head section as it budged out rather prominently! Other research students from the University of Melbourne and several other South African Universities were also on board and helpful and friendly. 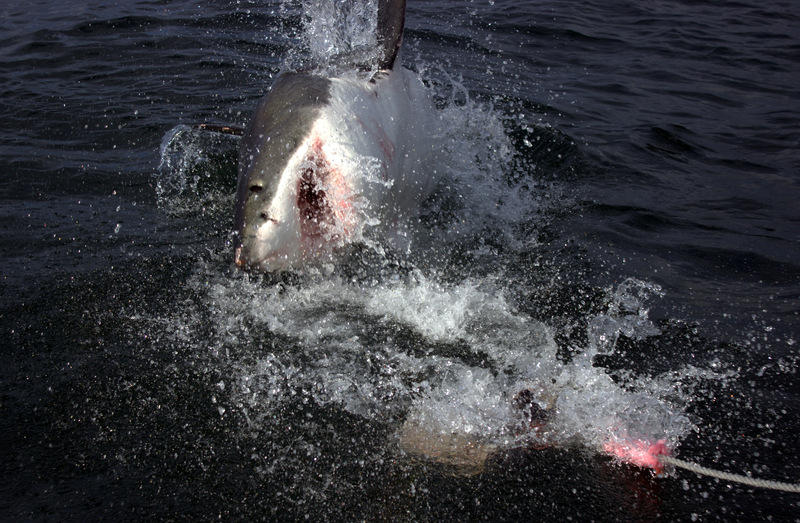 They had the hard job of monitoring the Great White’s populations and laser pointing them to determine the measurements. What a research dissertation! So we were all ready to get in. We listened intently to our instructor as he gestured for us to pull over our leg onto what then all of a sudden seemed a very fragile cage. The water was being chummed with a delectable concoction of fish oils and guts…it smelt repulsive. It then seemed like the most unnatural thing to then lift our leg and lower down into the cage having just seen a 4m shadow lurking in the depths- we were in. 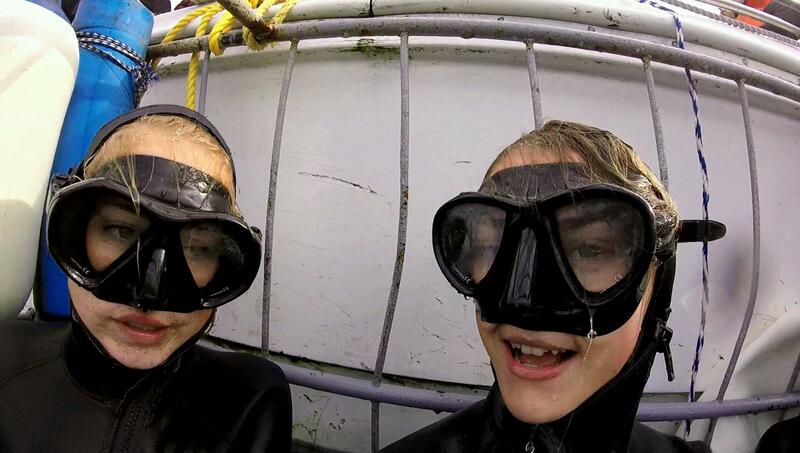 We adjusted our masks and waited for the sharks to approach us. Note that you DO NOT need SCUBA DIVING experience, when they see the sharks above, the crew will tell you to “get below” and you can hold your breath and take a dive to see them as they pass. 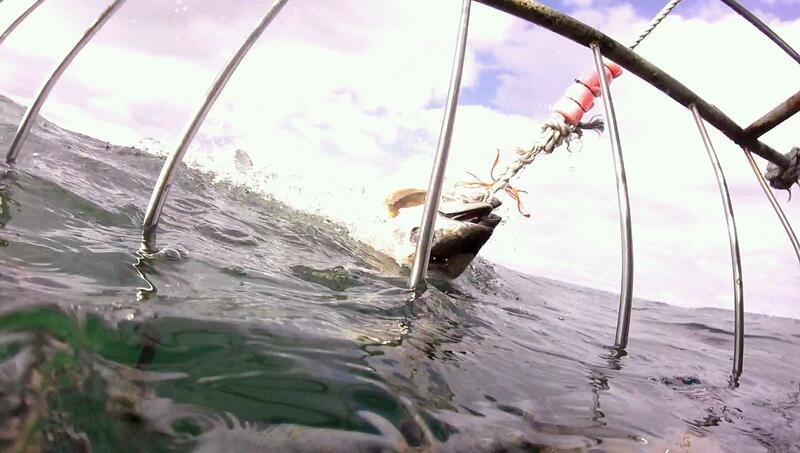 It seemed an age before the first shark was sighted with the tuna bait on the rope consistently being tossed about in front of us. Then all of a sudden, a dark shadow appeared from the murky depths, with the distinctive shape of the Great White; its immense size only then became apparent to me, an even more so as it headed straight towards the cage, teeth bare, gills flashing, eyes rolling… it was Black Gill– at an astonishing 4.3m. 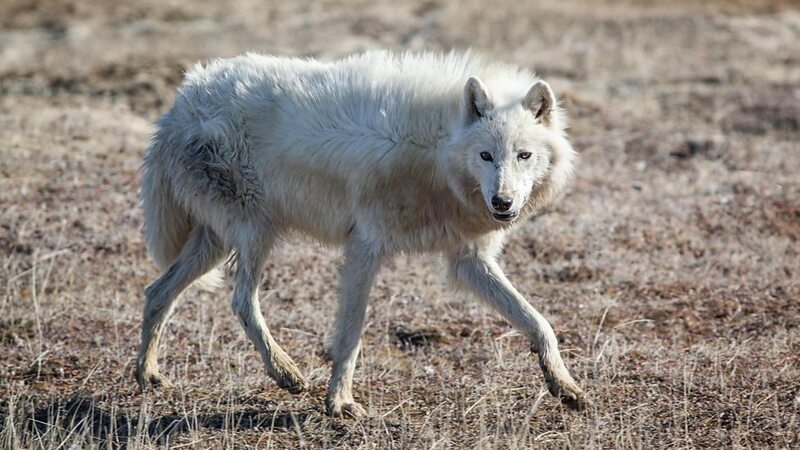 The white nictitating membrane was rolling, the 6 inch teeth gleaning and the grey sleek tail cutting through the water with astonishing speed, and simply its presence was enough to render us SENSELESS- such a potent force of nature was before us. It truly was one of the most THRILLING and exciting experiences in my life, I never thought I would have the opportunity to get so close to such an incredible animal. The sightings then began to increase as we continued to float closer to Seal Island, closer to their true prey. 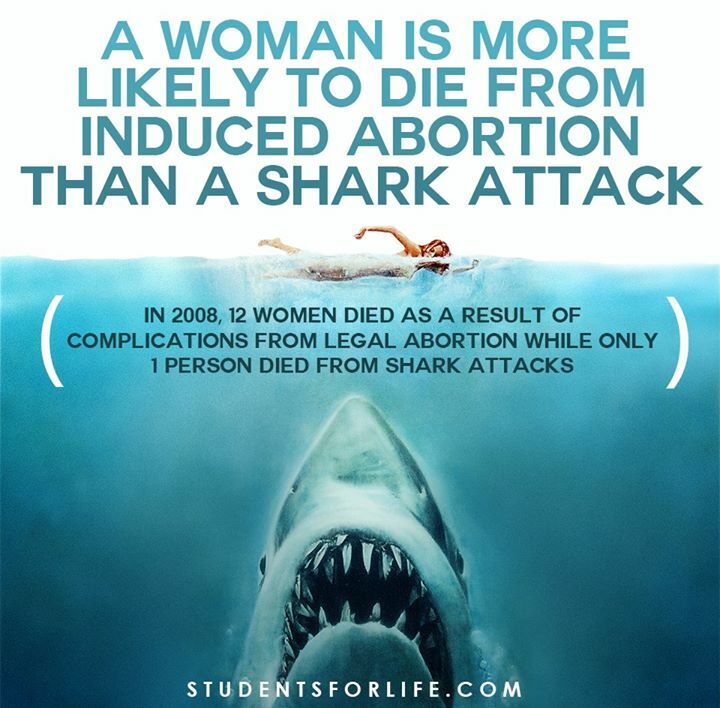 This is one of the biggest misconceptions about sharks- that they deliberately attack humans to eat them. 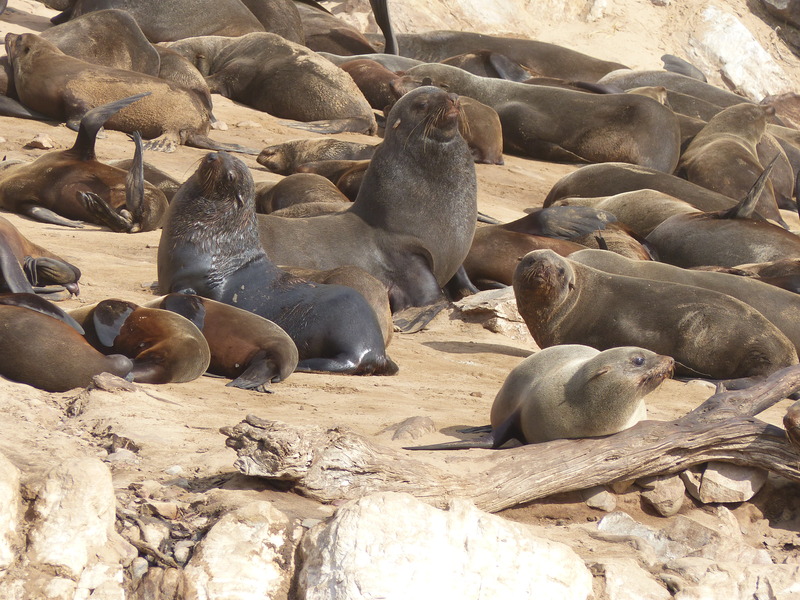 Seals are the Sharks natural prey, and they have evolved to process such species and enable them to survive and reproduce successfully for over 50 million years. 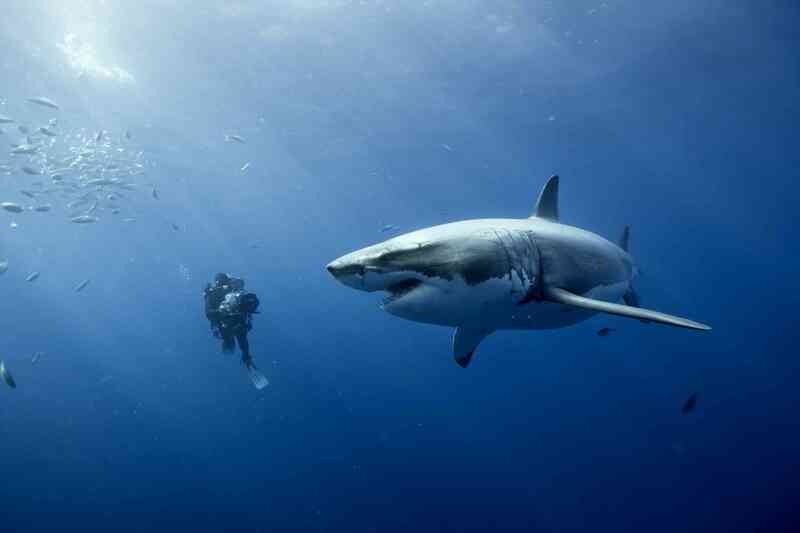 Humans are bony and contain little fat content, both of which the sharks are not fond of. It is ALWAYS a case of MISTAKEN IDENTITY. Surfers are frequently attacked as they resemble the seals on the surf boards and can often cause the shark to breach and attempt an attack. 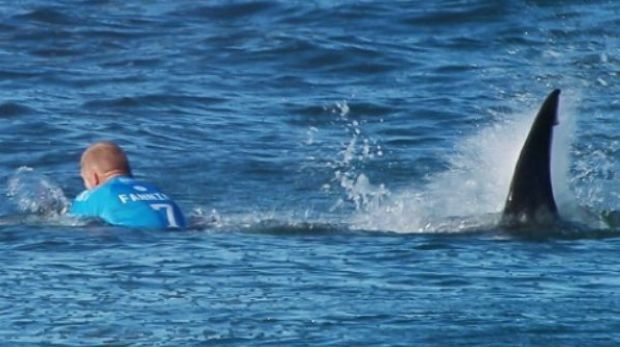 Unfortunately there were 2 attacks in the past 3 weeks at Plettenberg Bay on surfers attacked by great whites, and many argue that it’s the cage diving activities that is causing such attacks, sue to them associating humans with the chum and food bait placed out for them. It’s actually illegal to feed them, but tempting them near to the cages is obviously the main way to attract the species to the cage. 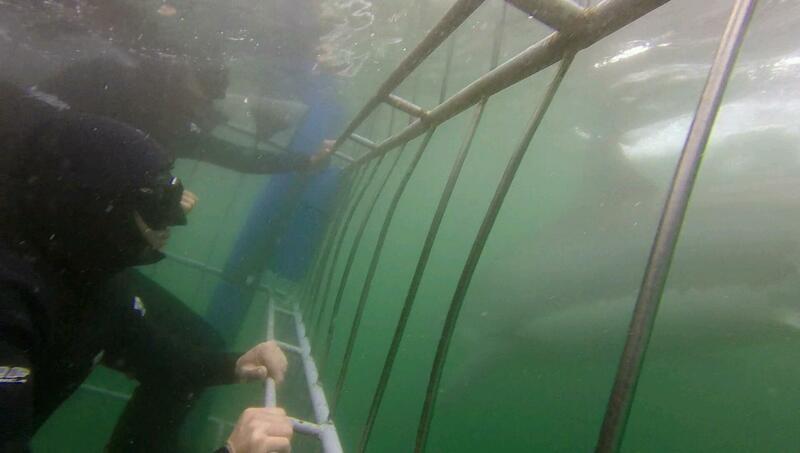 I still believe however that cage diving doesn’t have such an effect, as surely the negative reinforcement of no food reward with the chum and mouthful of metal cage doesn’t exactly results in more sharks wanting humans as food. It’s simply a matter of probabilities and stats- the more surfers there are in the ocean = greater chance of being bitten. All of these victims have survived fortunately, but many people are now blaming such touristic activities on this behaviour. 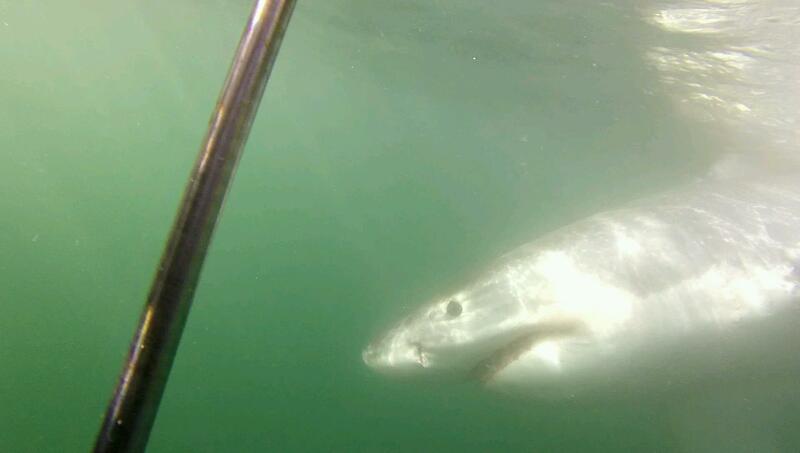 This YouTube video below shows a Great White “attacking” the very cage I dived in with the same boat at Mossel Bay, approximately 3 days earlier! I spoke to the crew leader and shark scientist Dan, who assured me that the shark was in fact “mouthing the cage” as this is very common behaviour. 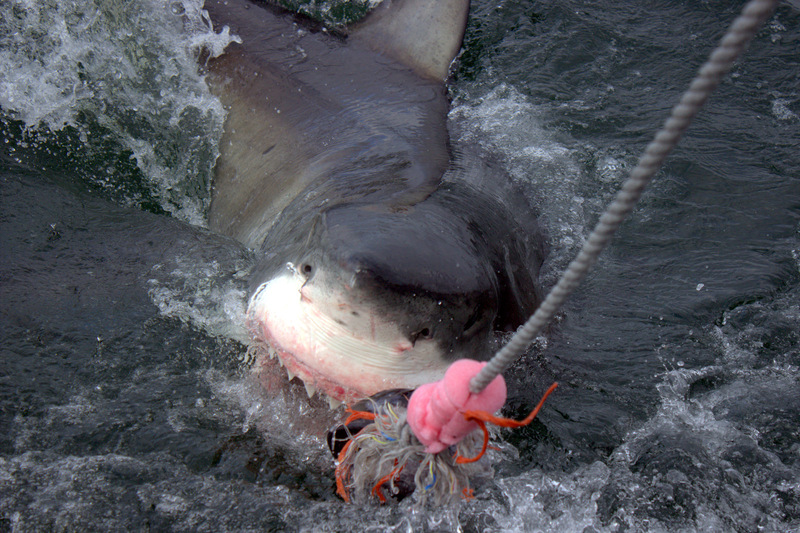 Hence the shark was not attacking the cage, but in fact testing it out in terms of edibility. The number of sharks that are killed every year is far more numerous than human attacks, of just 16 in the US compared to the 200 million sharks being killed for the notorious shark fin soup. They will cut all the fins off and let them sink to the bottom of the ocean to die. This is why I believe shark conservation needs to pour money into further safeguarding the oceans and creating more protected areas, that will not only keep the sharks safe, but all the other species in the ecosystem. Again this will have cascading effects along the food chain, as recent research papers discussing the “seascape of fear” whereby the presence of the shark will have impacts on the mesopredators such as dolphins which will avoid them in the area. 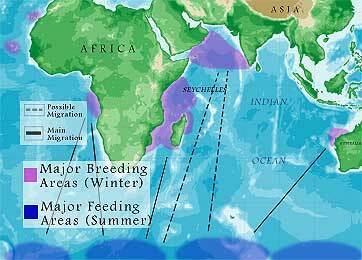 This in turn will increase the smaller predators or numbers of fish in the area, which then can either graze more, or filter out more plankton, alterning the baseline primary producer output- effecting the whole ecosystem. If we remove sharks, this interferes with the entire community of species. 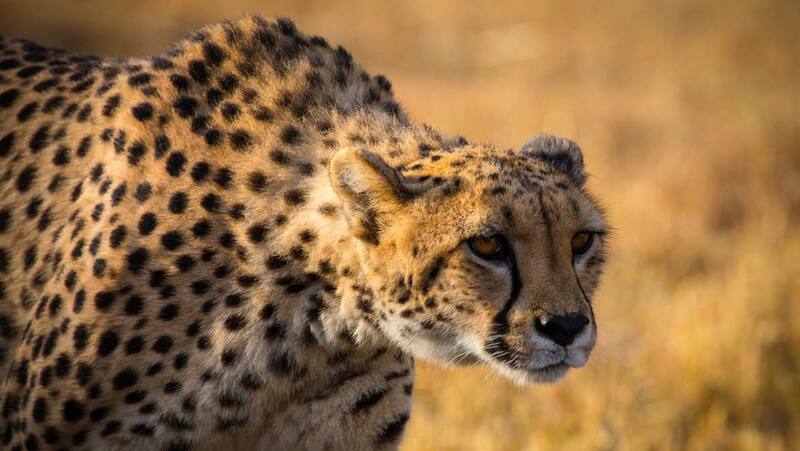 The fantastic news is that recently UNESCO’s decision to recognise both the Gouritz Cluster Biosphere Reserve and the Magaliesberg Biosphere following their nomination for biosphere reserve status by the Government of South Africa means that under law these beautiful animals are even more protected and so can ward off potential hunters In California. Hopefully such organisations can help push shark conservation, but I am still dubious that it’s a fair game that we are teasing these animals to get viewings of them. Perhaps we could adopt a more natural approach to viewing sharks and simply wait to see if we can get such viewings, reduce the price of the trip and lower our expectations of seeing them- the simple excitement and possibility of seeing these creatures out of their own accord is far more magical and awe-inspiring than tempting them in. 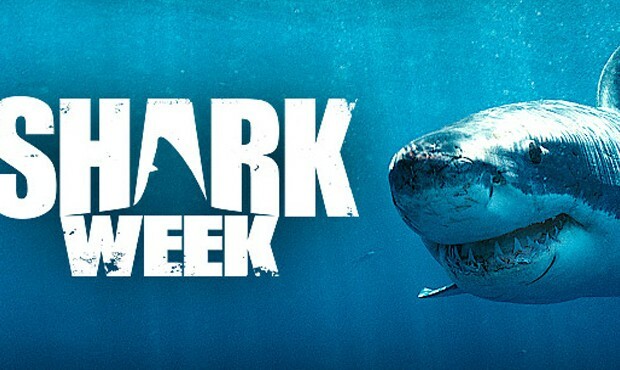 Happy Shark week! 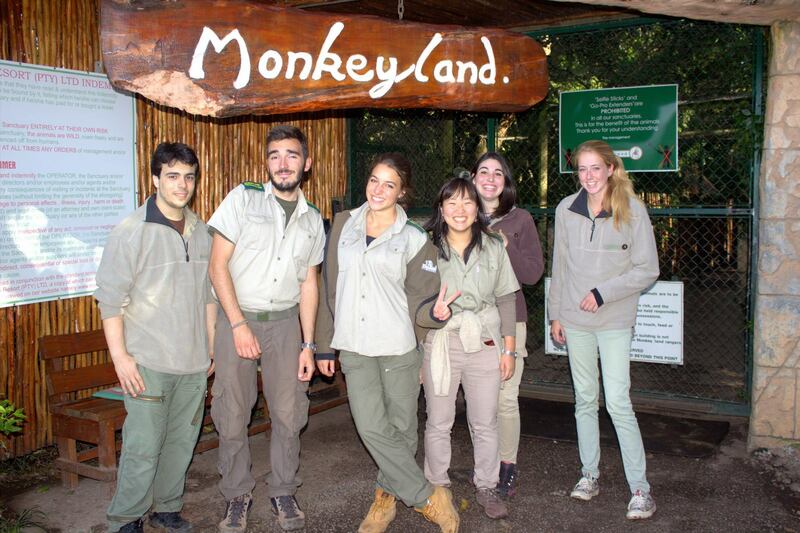 Updates about Monkeyland and how YOU can volunteer on a student budget soon.